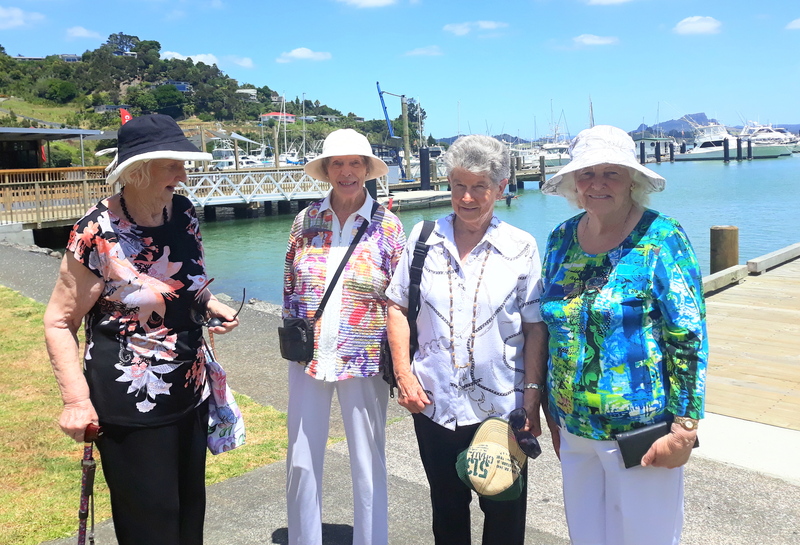 During a recent trip to Whangaroa we enjoyed a delicious lunch at the Marlin Hotel. 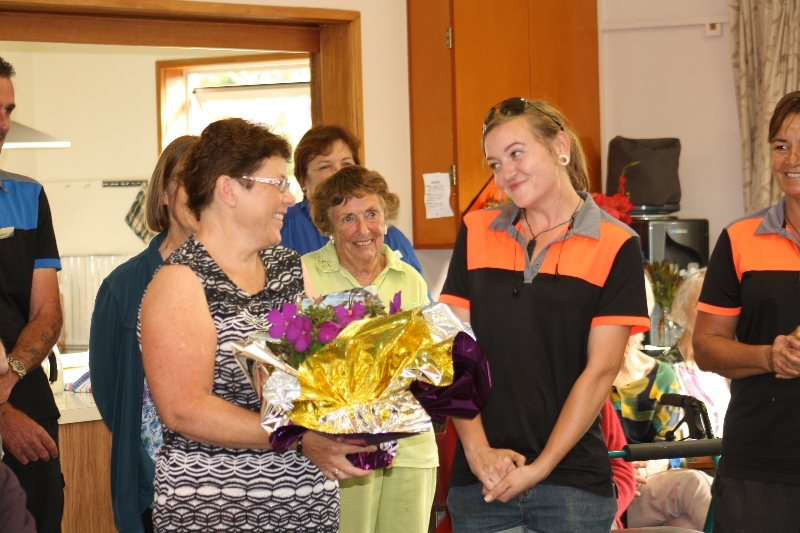 Carol Moffat is the Activities Coordinator at Bunnings Kerikeri. 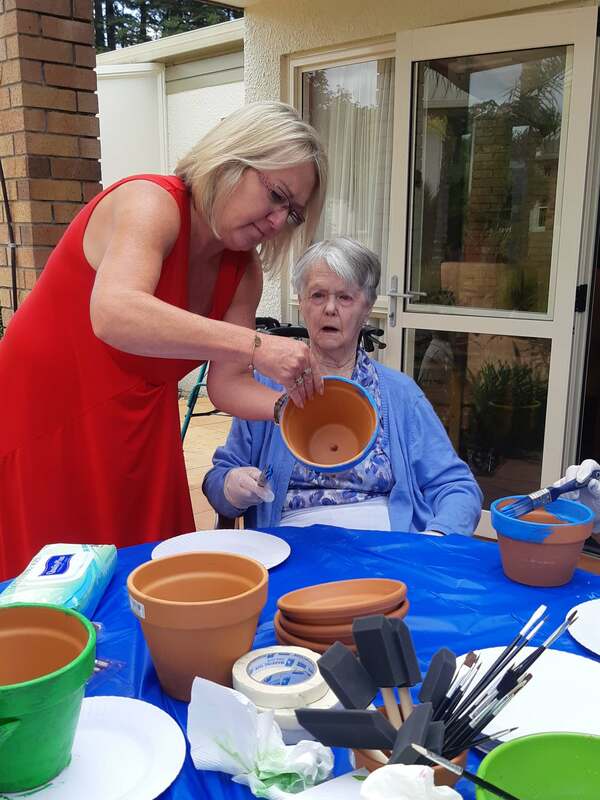 She and her colleague brought in a variety of complimentary paints, pots and plants for a fun morning of pot painting with some of our residents of the Care Facility. 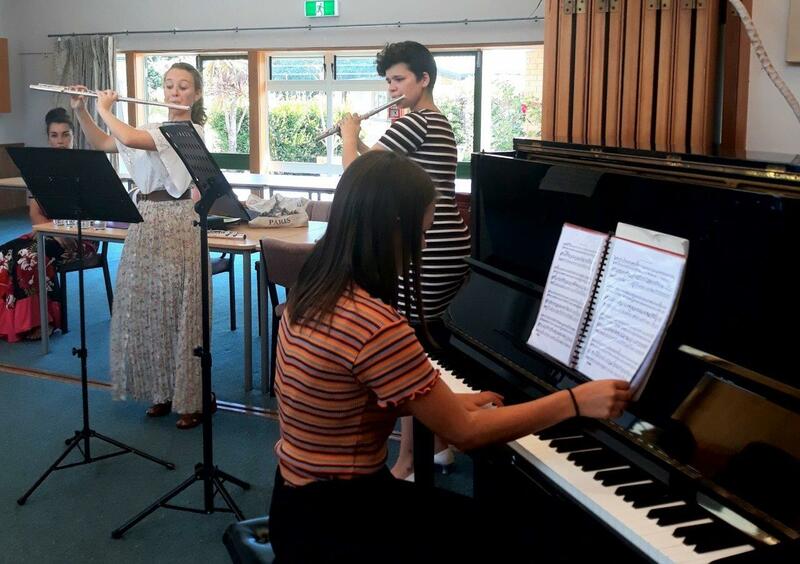 Clare Penny and her amazing students treated our residents to a concert in February. 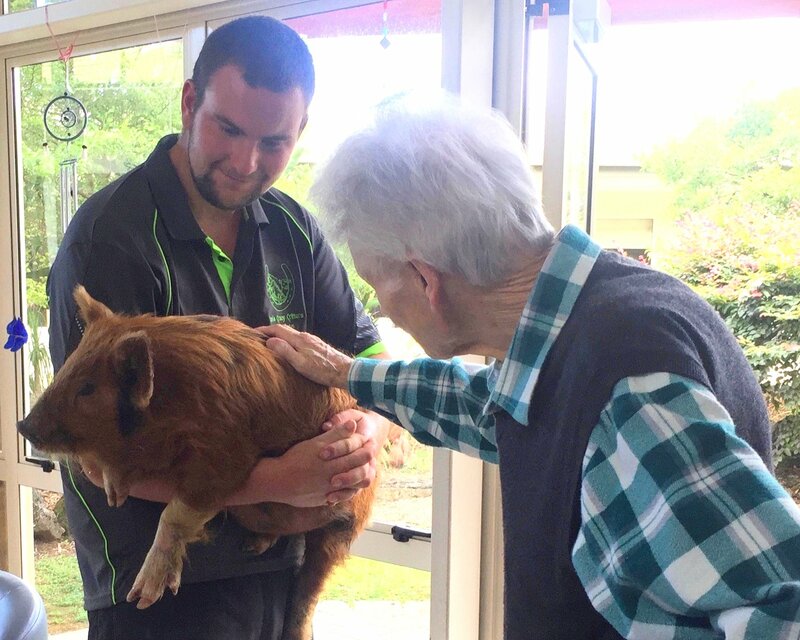 Our residents always enjoy a visit from Caro's Critters and for many it's a reminder of earlier years spent living on a farm. Representatives from the Retirement Villages Association (RVA) and four Mid North retirement living and aged-care providers have expressed concern to the Far North District Council (FNDC) that the District Plan currently under consideration does not adequately take into account the needs and impact of the growing number of elderly here. 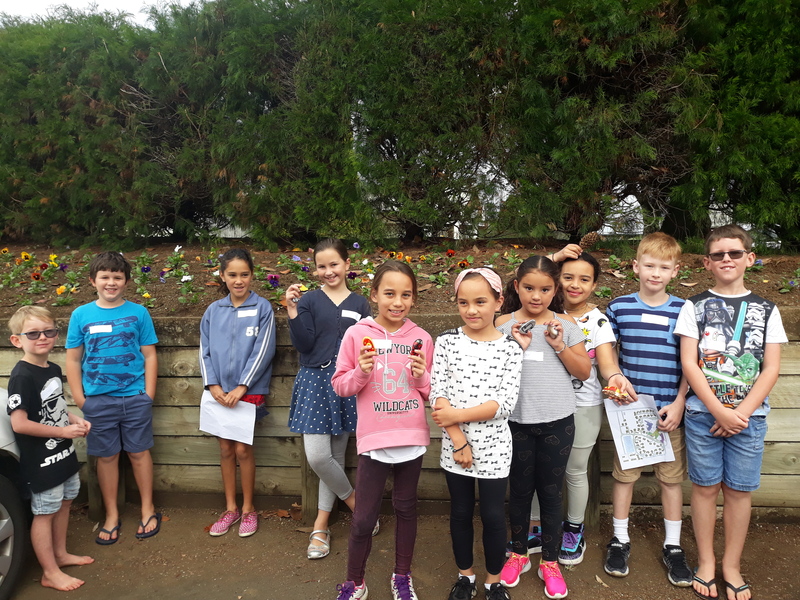 Games Day 2019 was a lovely day which started with morning tea then off for games with Invited Guests from Oakridge. 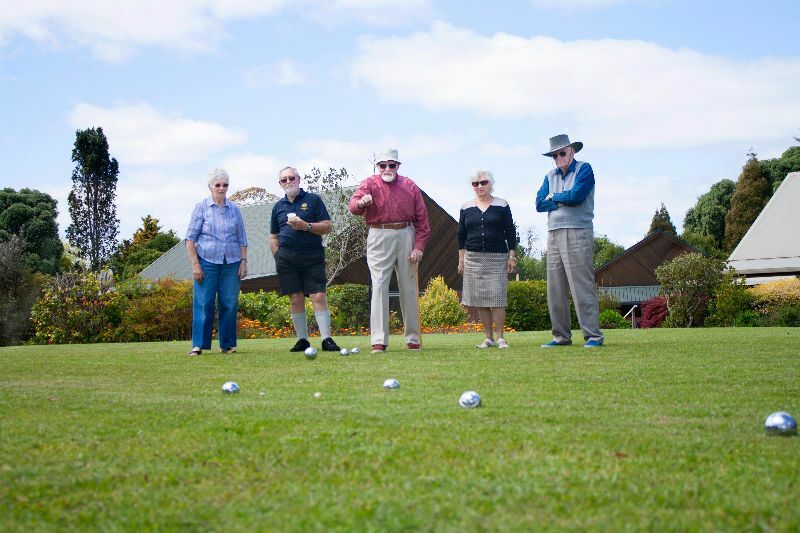 Games included Croquet, Bowls, Rumicub, Darts and 500 cards. Everyone said they would love to do it again. Everybody took to the theme of India for this year’s Xmas BBQ, amazing how many people own Sari’s! Our very own cook Donna embraced the challenge and we had a fantastic meal with the tastes of India and yes, it was still a BBQ. Thanks to those wonderful volunteers and staff who gave up their own time to decorate the community centre. 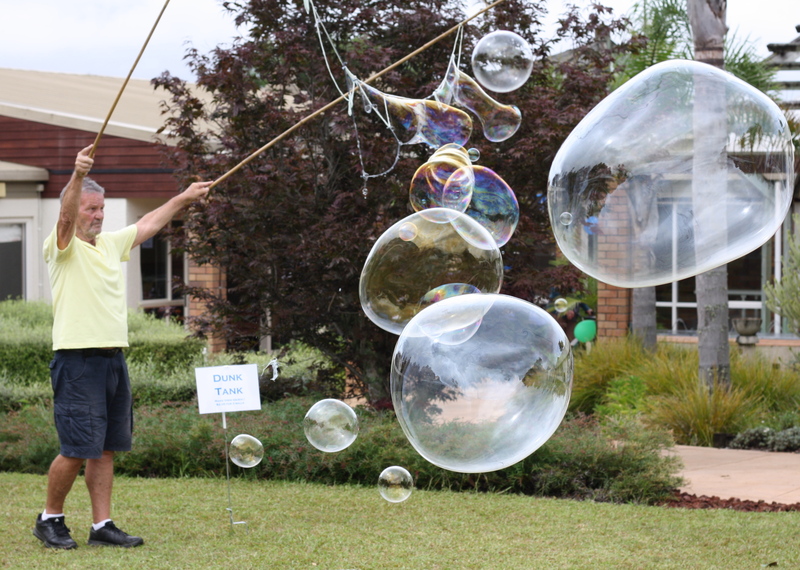 Our Annual Care Facility High Tea for residents and their families was a great afternoon for all. Thanks to our fabulous volunteers! 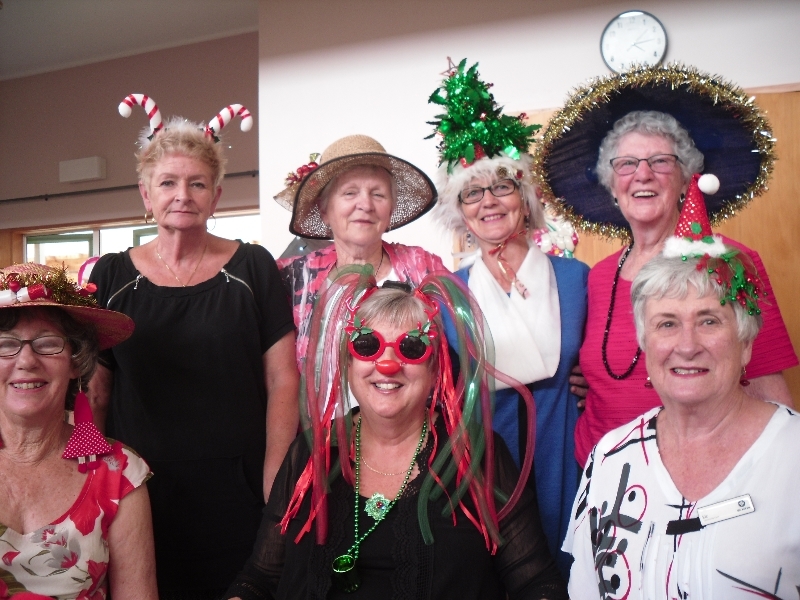 December 5th is World Volunteers Day so we held our Volunteer's Christmas Party to coincide with the event. The theme was nautical. The Variety Concert is always a highlight of the Christmas season and this year's extravaganza was no exception! 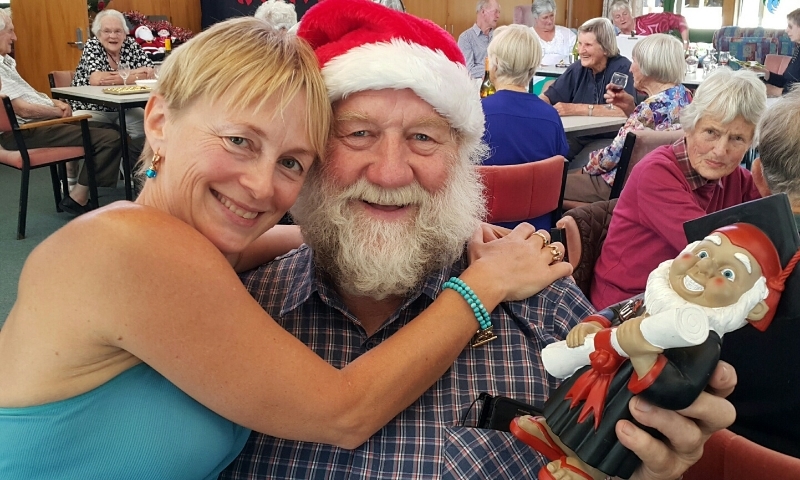 In the lead up to Christmas the Village is awash with tinsel, the carols play loudly and often and we collect and wrap Christmas gifts for families in need. Another celebrated tradition is making Christmas cookies. The name's Bond... James Bond! 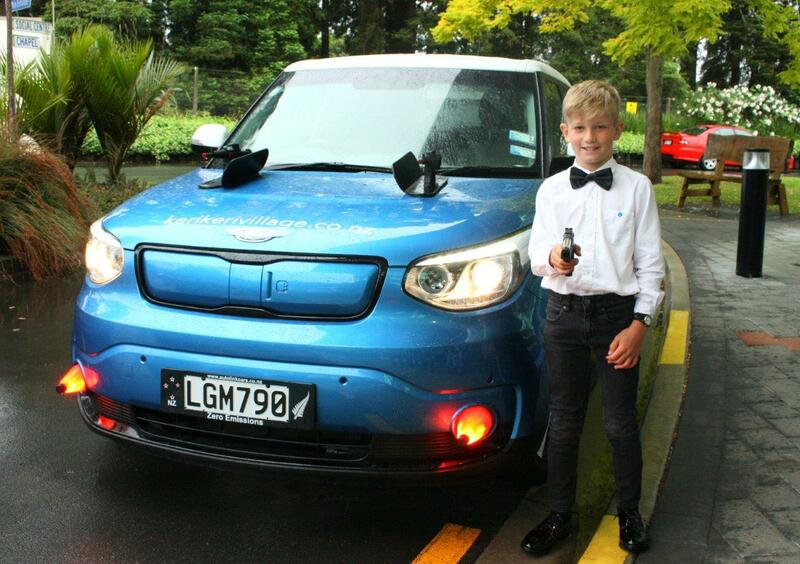 We went 007 for this year’s Christmas Parade entry and Geran Brewer did a fantastic job of transforming our electric vehicles into Bond cars, complete with knives on the wheels and rocket boosters on the back. 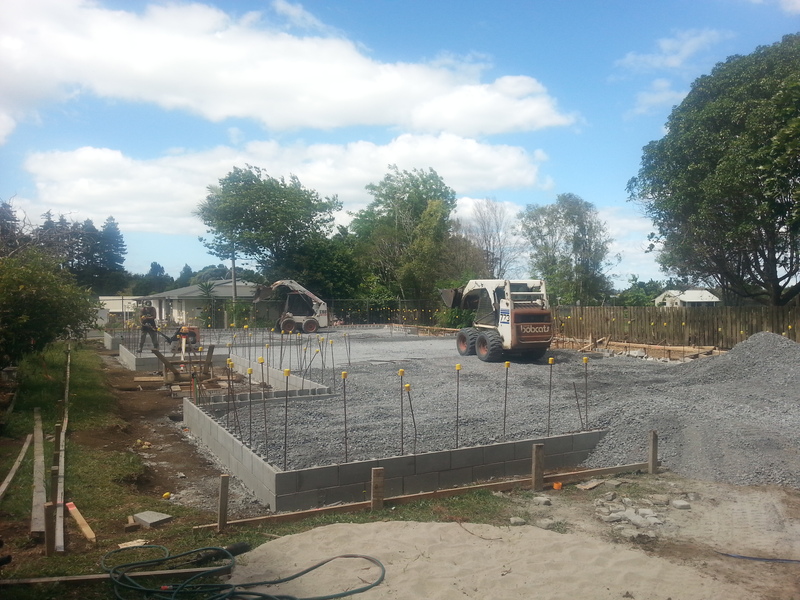 Turning soil - the apartments progress! 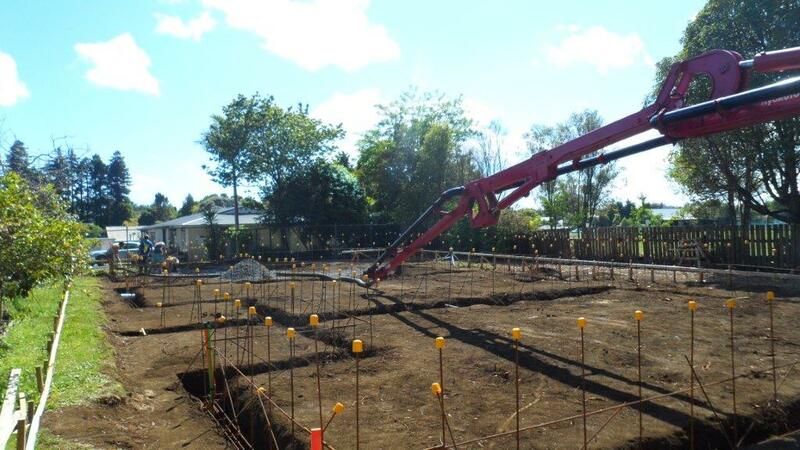 We were delighted to finally turn the first soil at 127 Kerikeri Road on November 14. After many delays we can commence work on our new apartments. 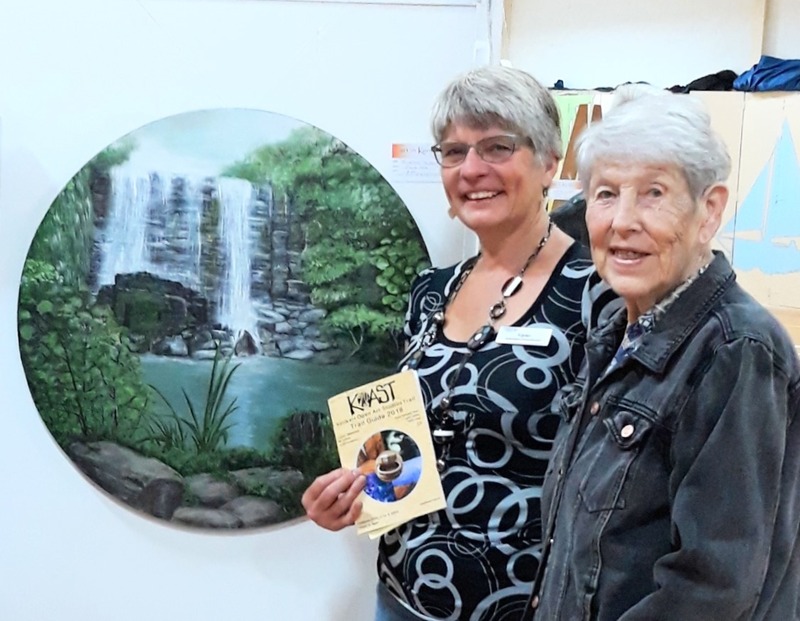 The fifth annual Kerikeri Open Art Studios Trail known as KOAST was held over Labour Weekend. Participants buy a map which allows them to visit a wide variety of artists, view their work and chat to them about their techniques and their inspiration. 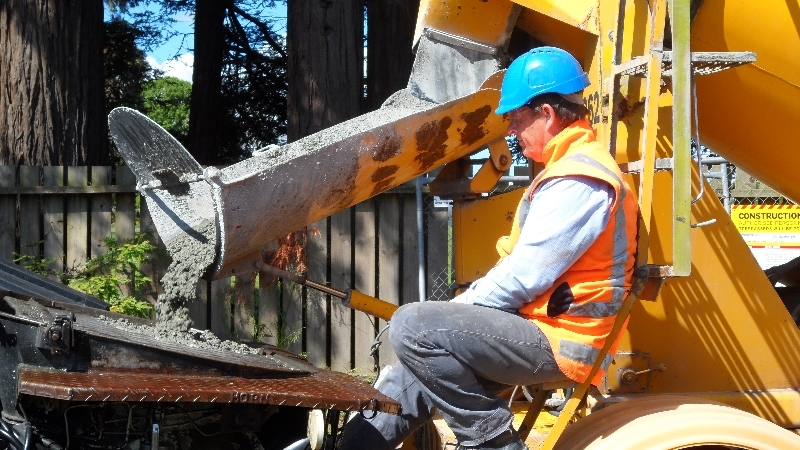 We Kiwis are not well known for long-term planning. Perhaps this is a function of our thee-year parliamentary cycle. Possibly it’s to do with our adaptable, Number Eight Wire ‘fix it on the run’ approach to life. Or maybe it stems from our seemingly inherent belief that we’re a small isolated land, fated to remain that way forever. 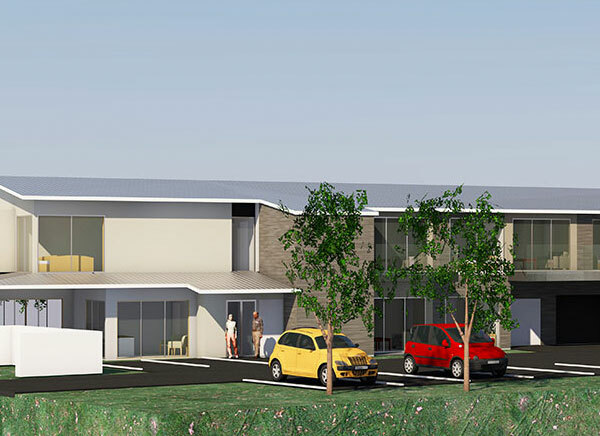 Kerikeri Retirement Village has unveiled plans to buy as many as 42 neighbouring properties to build retirement accommodation for the growing number of elderly in the area. It wants to build 200 more independent living units for up to approximately 250 retirees and expand the number of beds in its care facility from 66 to 100. 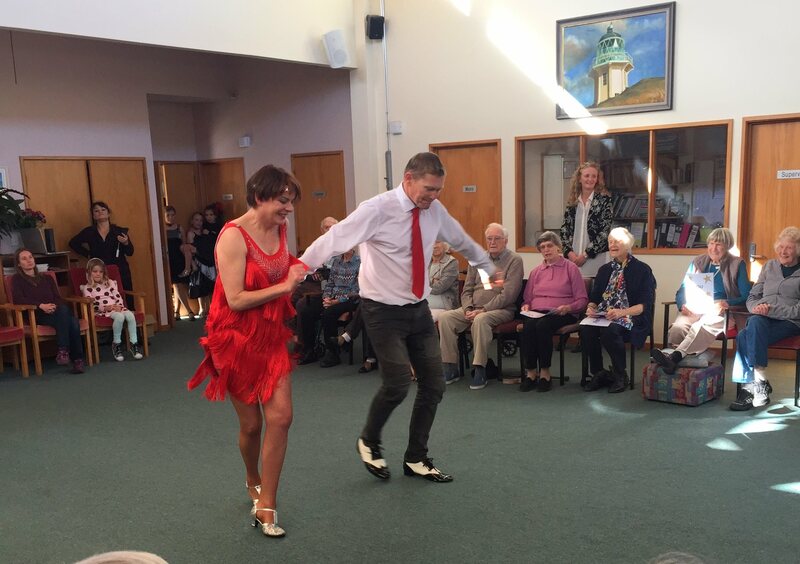 The recent Mid North Hospice ‘Battle of the Ballroom’ fundraiser was a sell-out event and even if the tickets had still been available the show was too late for many of our residents. 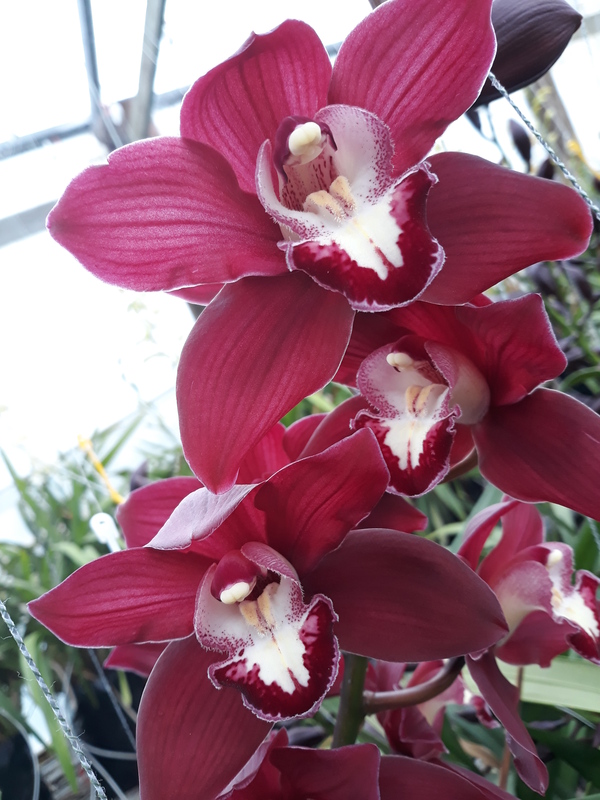 Local orchid grower Gavin Wakelin invited our residents to visit his operation in Waipapa. He has two heated tunnel houses on about a third of a hectare and exports his flowers to Japan and America. 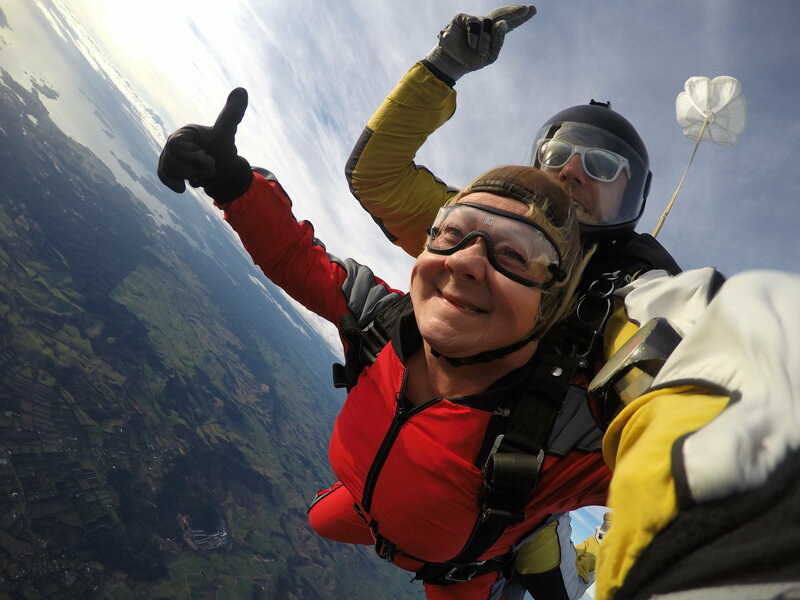 We have a strong relationship with Northland Alzheimers so when they came up with an initiative to raise awareness of their organisation and services our Operational Support Manager, Cheryl Silich, literally jumped at the chance to help. 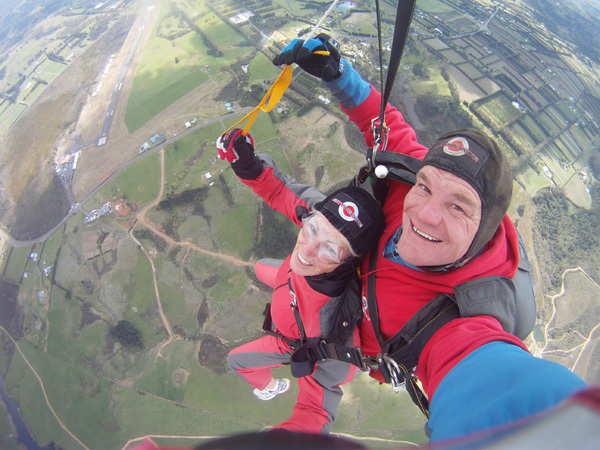 Studying, while juggling work and family commitments, takes real commitment. 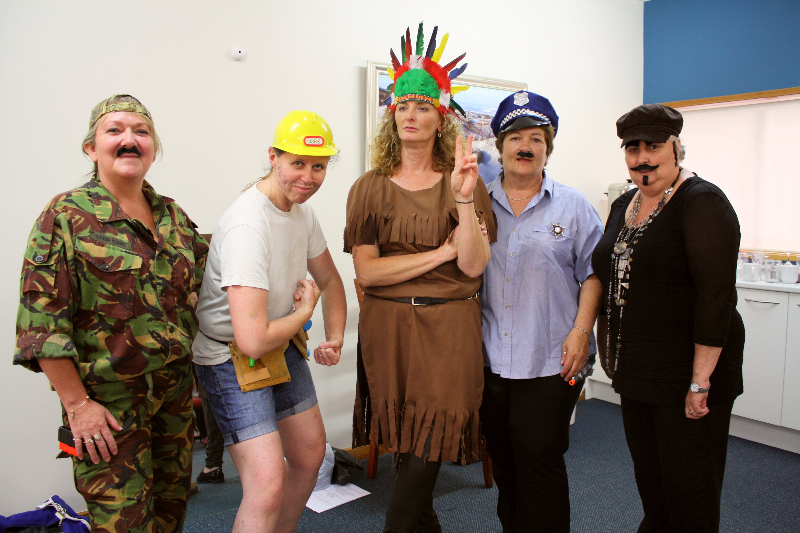 To recognise all the hard work and achievements, our Staff Development Co-ordinator Heather MacMillan put together our inaugural Graduation Ceremony. 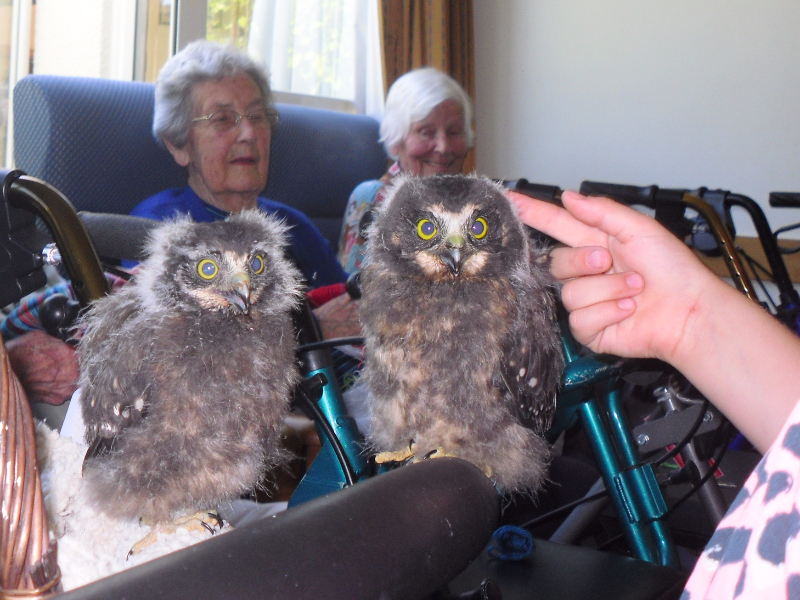 During the school holidays we invited 10 children to spend the day with us. 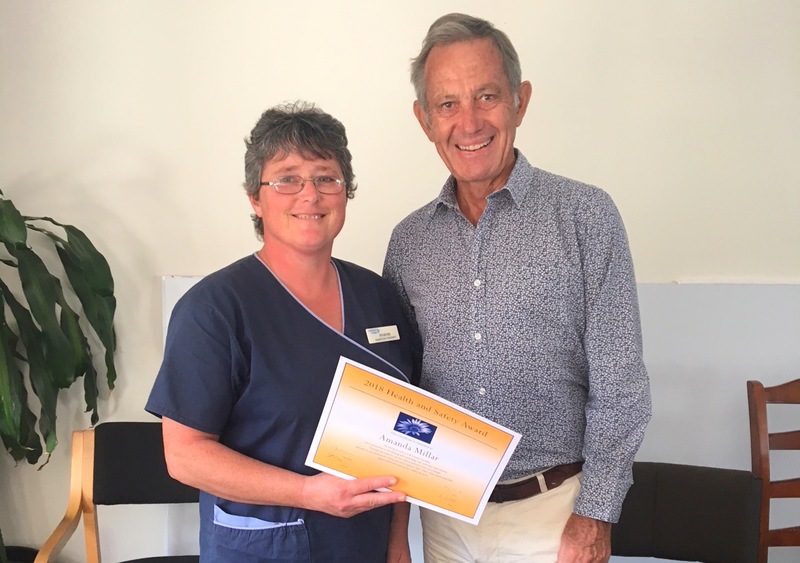 Every 6 months they recognise the person who has demonstrated most an outstanding commitment to safety and/or innovation in Health and Safety with a certificate and a $100 bonus. 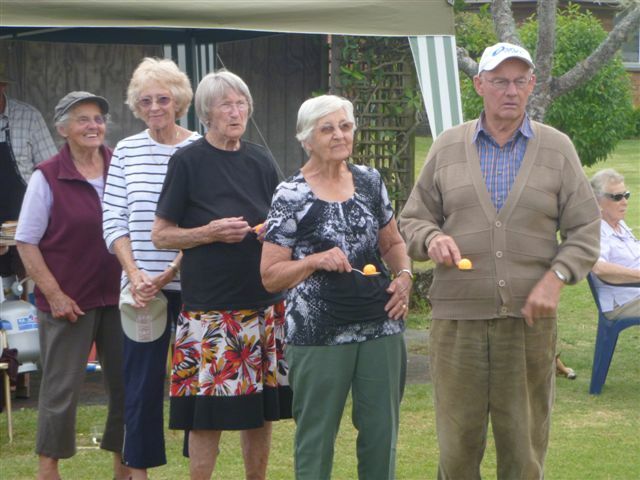 Despite the odd shower or two, we had a great turnout at our Village Fete on March 2nd, and these picture show what a great time everyone had. 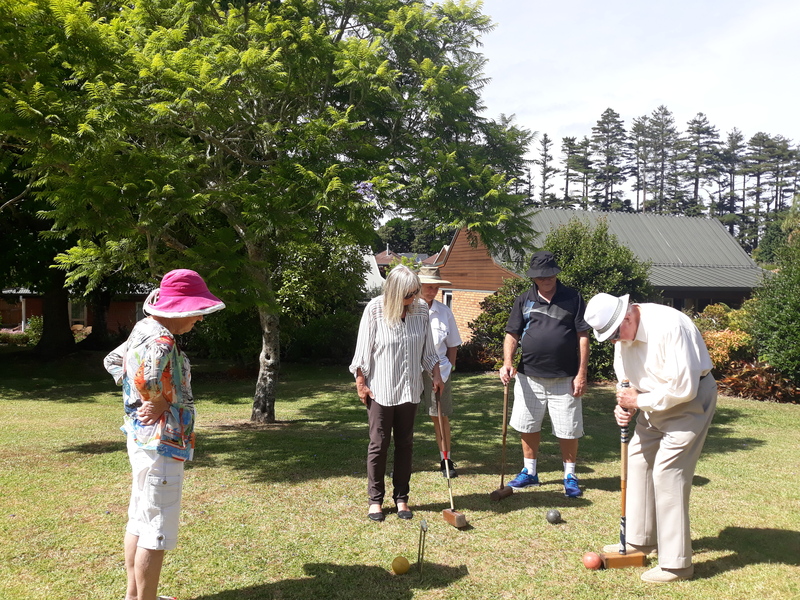 We are making good use of our croquet set this summer with sessions being held at 4pm on Tuesdays and Saturdays, when the weather allows. We had 'reel' fun celebrating Robbie Burns Day including piping in the haggis, addressing the haggis and some good old highland dancing. 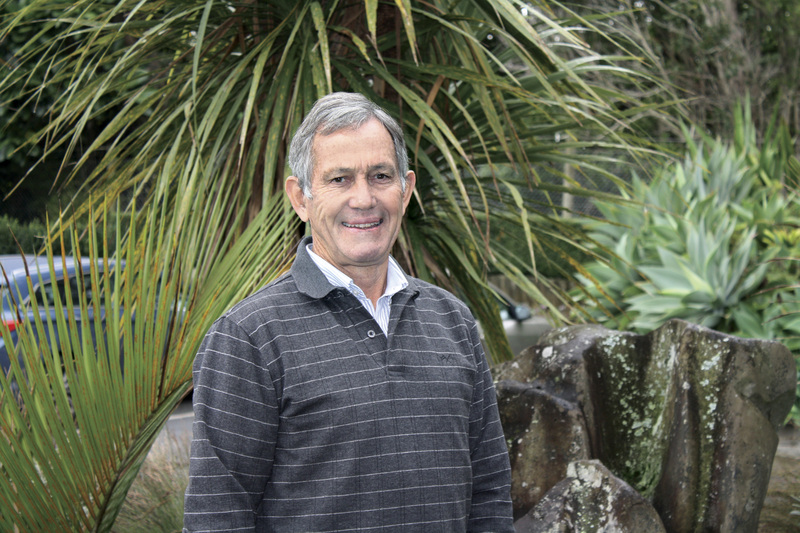 Mike Simm has been appointed Chairman of the Board of the Kerikeri Retirement Village. Suzanne Brocx, a nurse, educator and local dairy farmer, is our new Deputy Chairman. 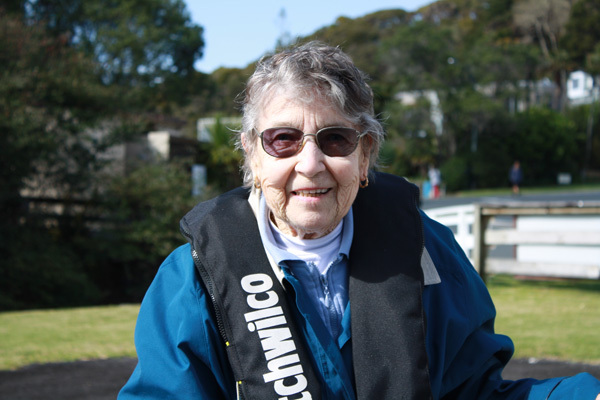 Our volunteers are a huge part of what we do and we are so very grateful for their support. This is one small way of showing our appreciation. 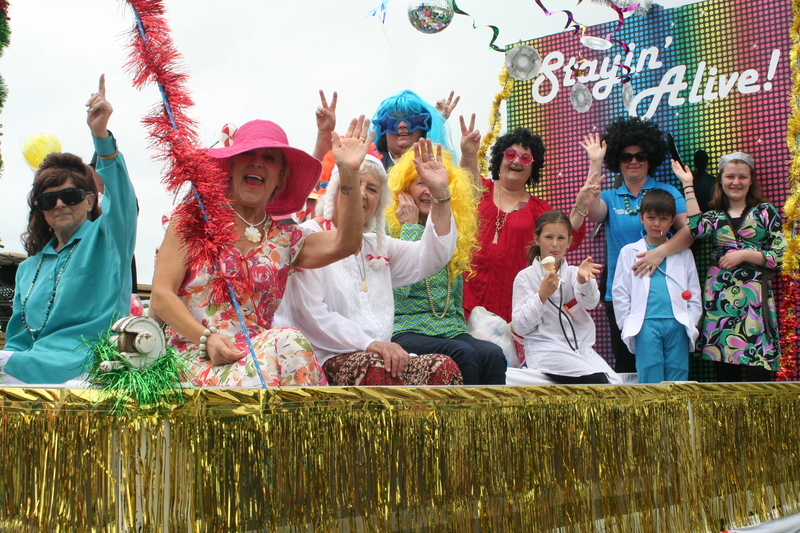 The theme for our Christmas Parade entry this year was suggested by a resident and our 'Stayin' Alive' float went down a treat. We were thrilled to have Team New Zealand pop in to show us their hard won trophy. 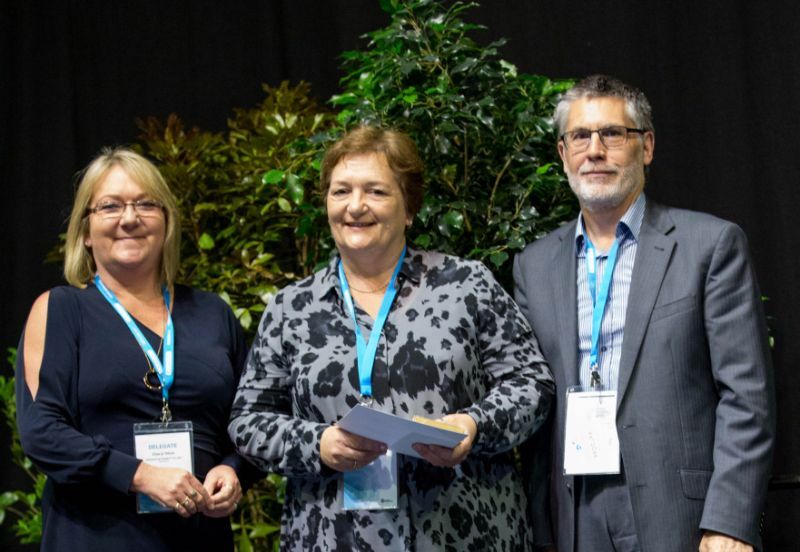 Every year we attend the NZ Aged Care Association Conference which gives us a chance to share ideas with other service providers in the retirement sector and keep abreast of industry developments. 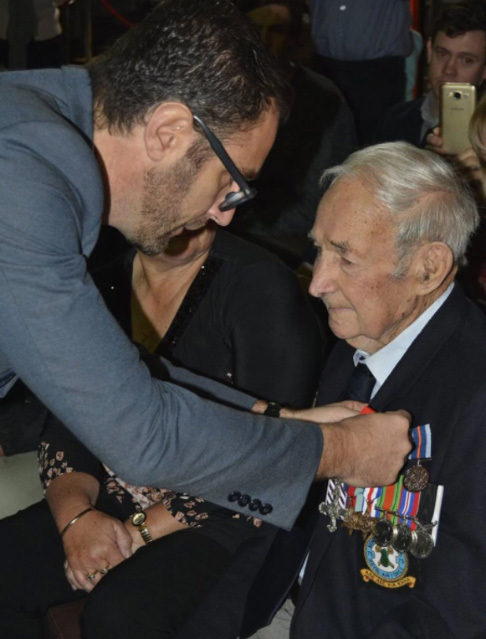 One of Northland's last surviving World War II veterans has been awarded France's highest honour for his part in liberating the country from Nazi occupation. 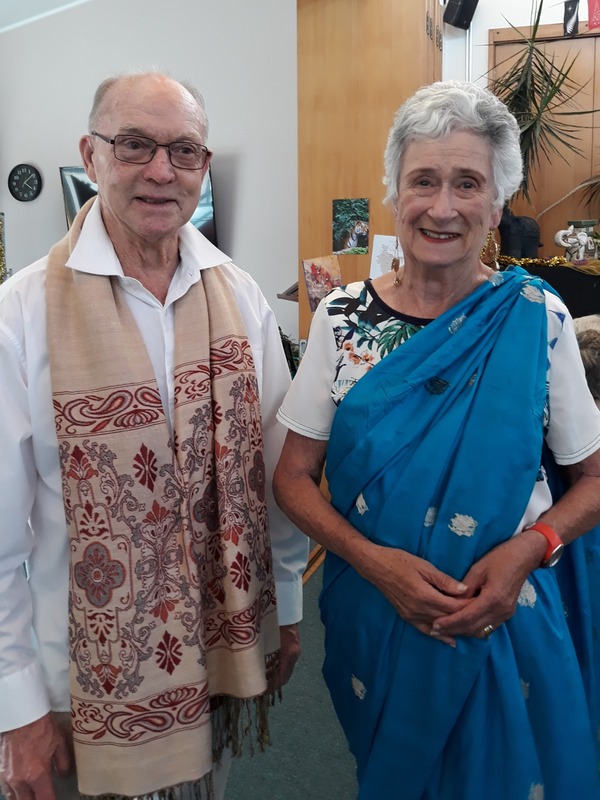 Ray Tait, 94, was made a Chevalier (Knight) in the Legion d'honneur (Legion of Honour) in a ceremony at Auckland's Motat Museum. 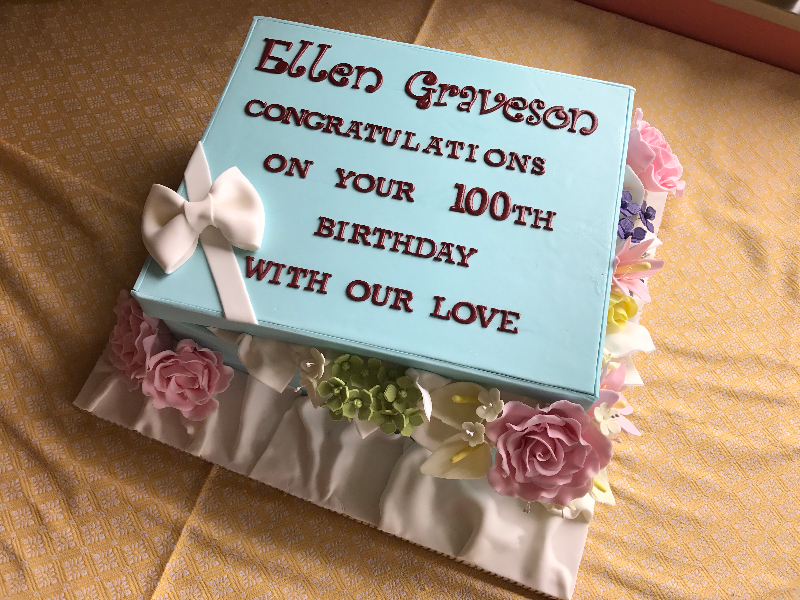 Best wishes to Nell Graveson who celebrated her 100th birthday on January 14. Nell, who is one of our original cottage residents and remains in the same cottage some 30 years on, didn't want a huge party. She opted for a number of intimate celebrations instead, the highlight of which was a Thai Banquet with her children and grandchildren. 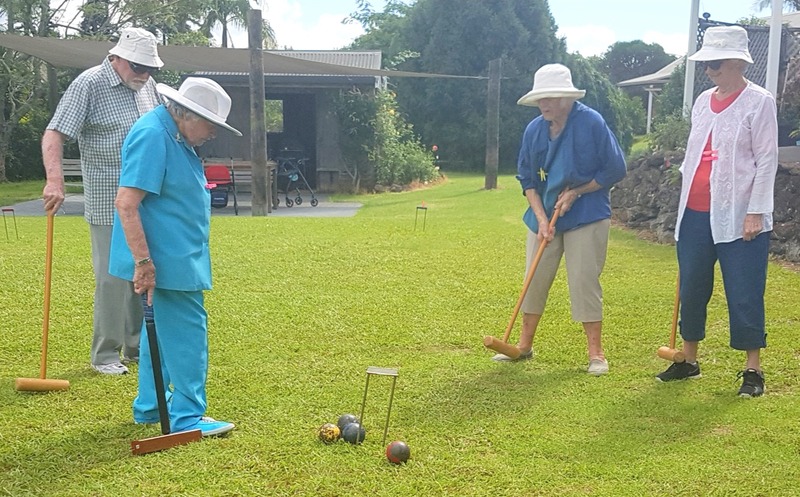 Kerikeri Retirement Village has started consultation with its residents and other groups and people in the wider community about a plan to build retirement and lifestyle apartments on property it acquired some time ago at 127 Kerikeri Road, the former Enz of the Earth property. Back on May 1st 2002, when we officially opened the Administration Block, our offices were full of the latest equipment. 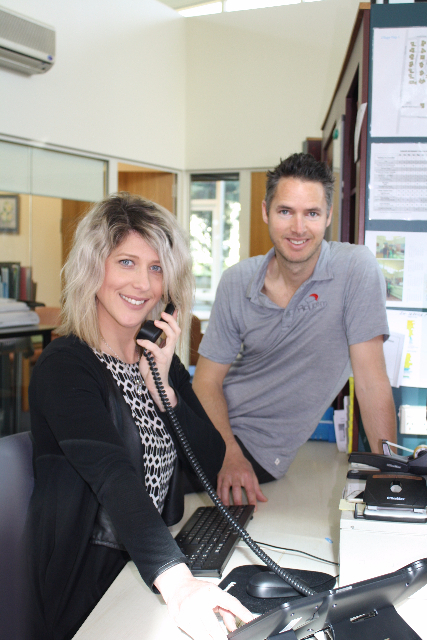 But after 15 years and significant growth, our phone system is no longer up to the task. This week Royce Clark from Roycom decommissioned our old PABX and replaced it with a new VOIP PABX. 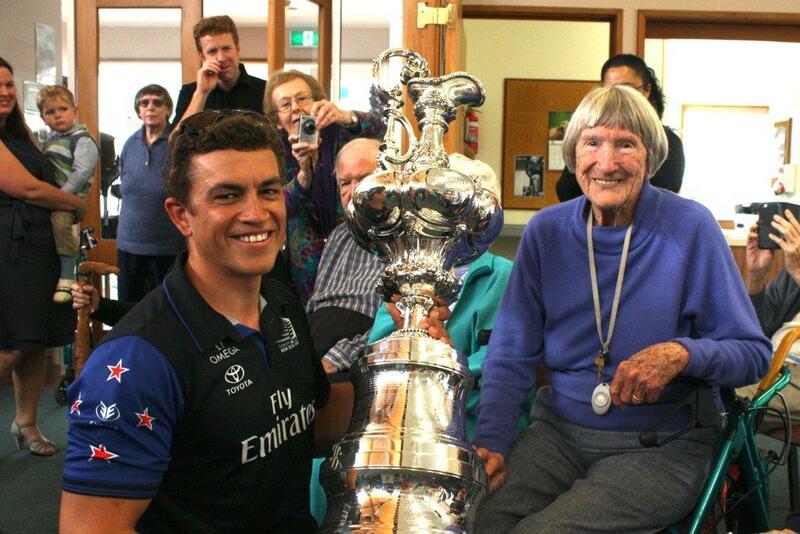 Back in June we sent local sailor Blair Tuke and Team New Zealand our message of support in the lead up to the finals of the America's Cup. Blair popped in recently to share his thanks and a few stories of his experiences during the campaign. Many thanks to Andrew Fergus of Bay of Islands Computers who ran a short seminar on online security. Andrew gave lots of tips on how to prevent scammers accessing your computer or bank accounts and how to protect your identity. There was a short Q & A session and we were all given some handy notes to take home. 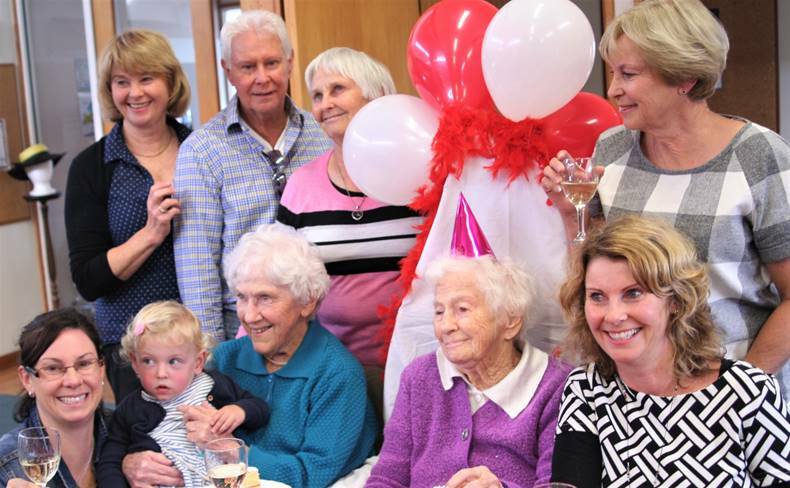 Wine and cake and happiness were in abundance on June 12th as Doris Robertson celebrated her 102nd birthday here at the Village with friends, family and staff. 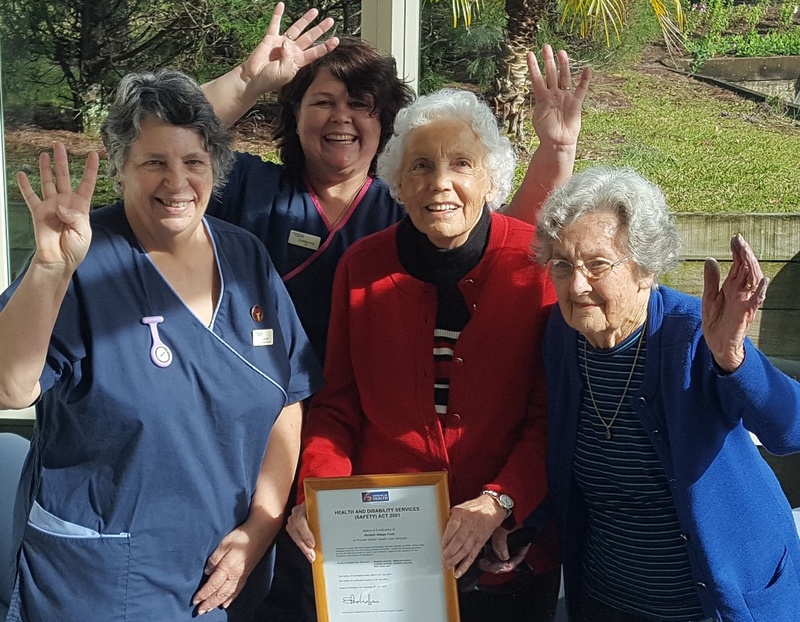 We have five staff members who have recently achieved significant milestones in their service with Kerikeri Retirement Village. 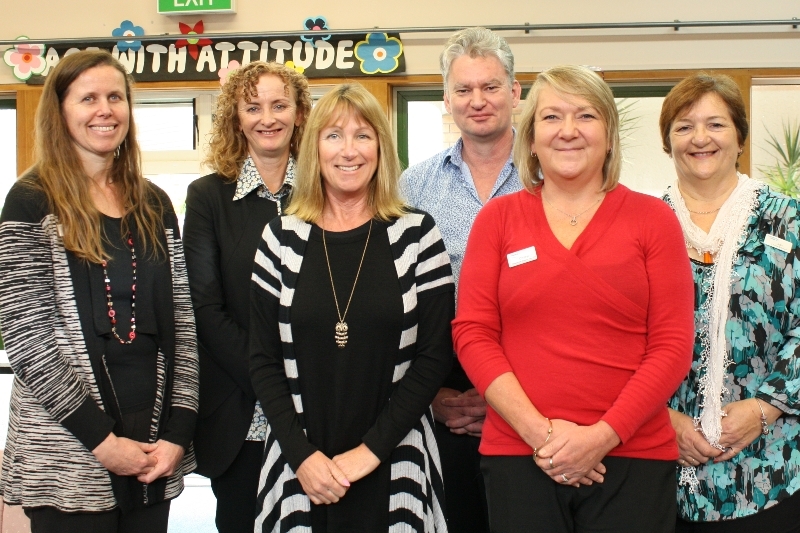 Frank Lewis and Logan Strong have clocked up 10 years of employment while Mary Elliott, Robyn Rihari and Lillian Urrutia have all passed the 15 year mark. 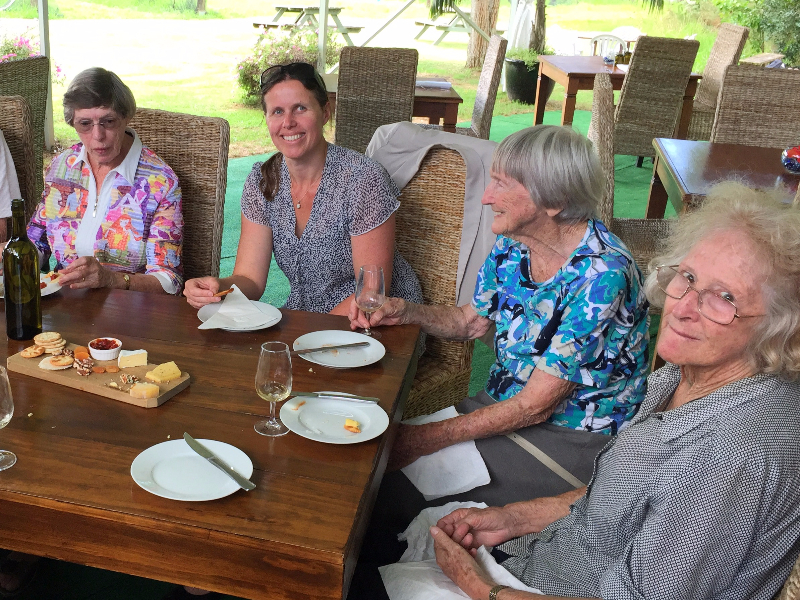 Our residents enjoyed a pleasant afternoon sampling the local wines at Byrne and Ake Ake vineyards. Special thanks to Vintners John and Tereza who advised that it had been a bumper grape season and explained more about the growing process and the qualities of the resultant wines. 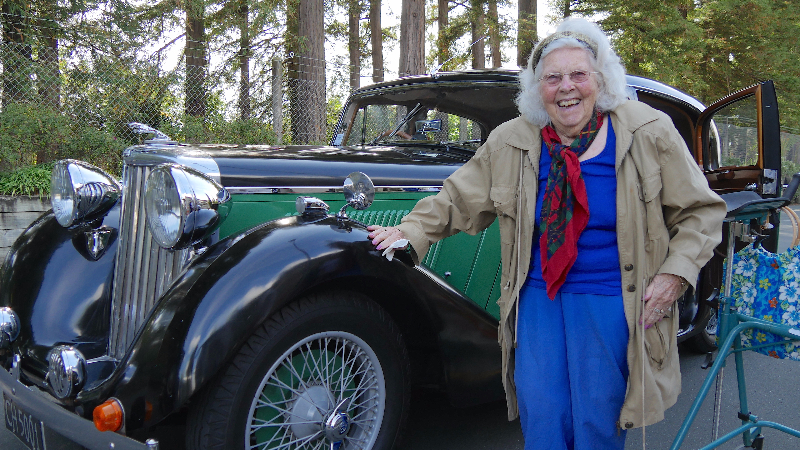 Our residents enjoyed a visit from the Kerikeri Vintage Car Club and were thrilled to take a ride in cars from a familiar era. Steph Edwards, who works part time in the Village administration team and also volunteers to help in the Care Facility in her down time, runs a bird rescue facility at her home. 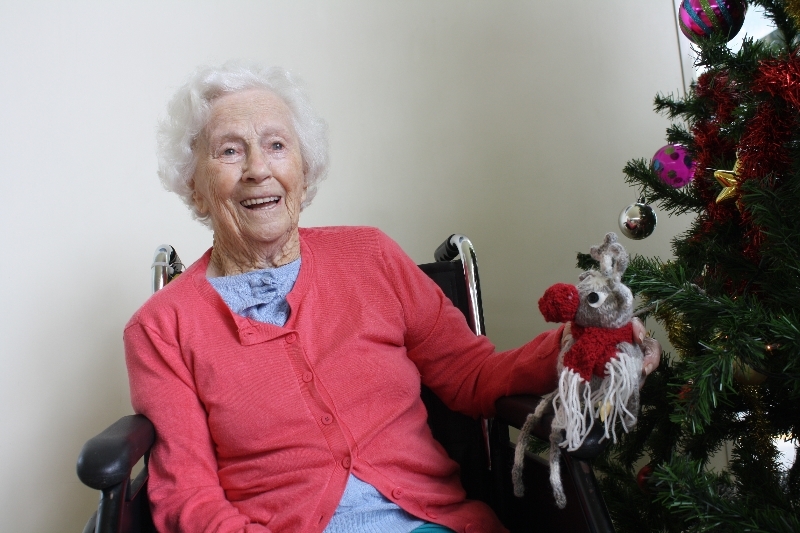 On Jan 14, Nell Graveson, one of our very first cottage residents turned 100. 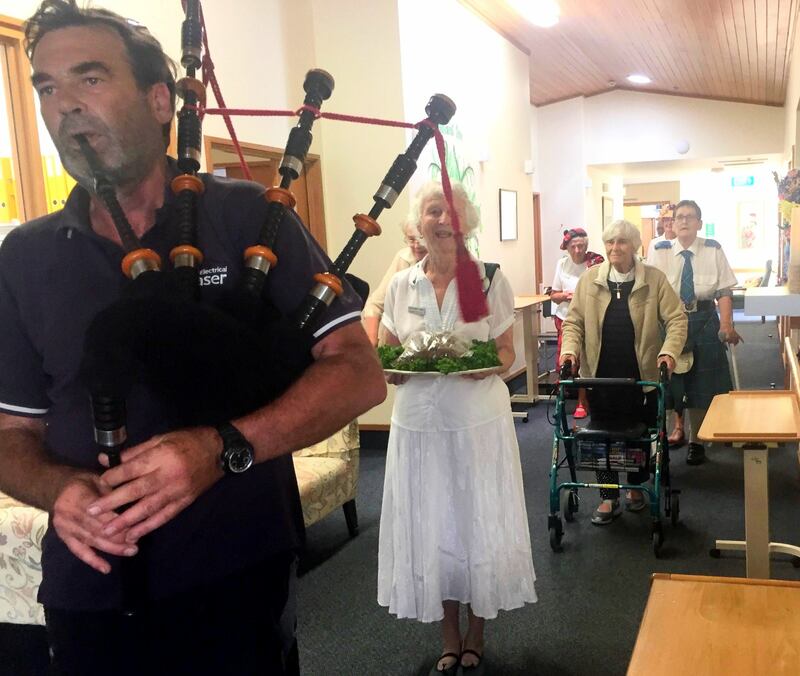 Nell, who still lives in the same cottage some 30 years on, decided she didn't want a big party and instead opted for a number of small events over a few days starting with shouting a few drinks for her many village friends in the Social Centre on the eve of her birthday. 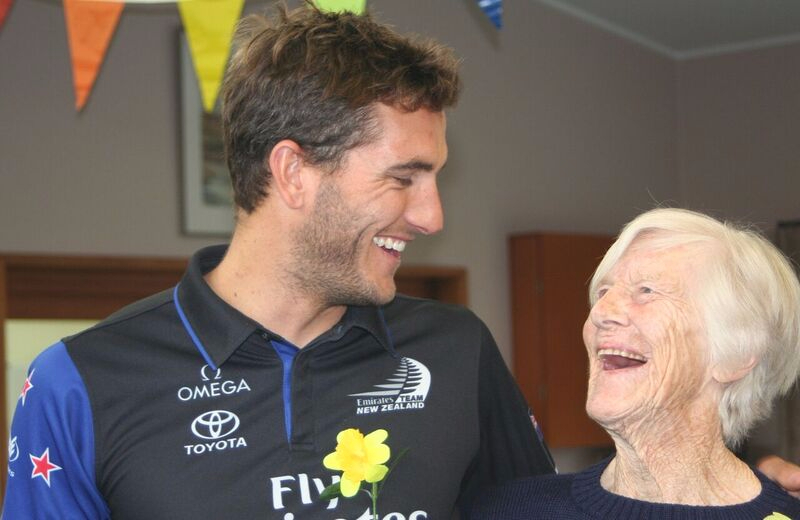 We are lucky to have the support of our community and especially all the wonderful volunteers who give of their time helping with reading mail, arranging flowers, helping to run entertainment and a myriad of other tasks that make a huge difference to the lives of our residents. 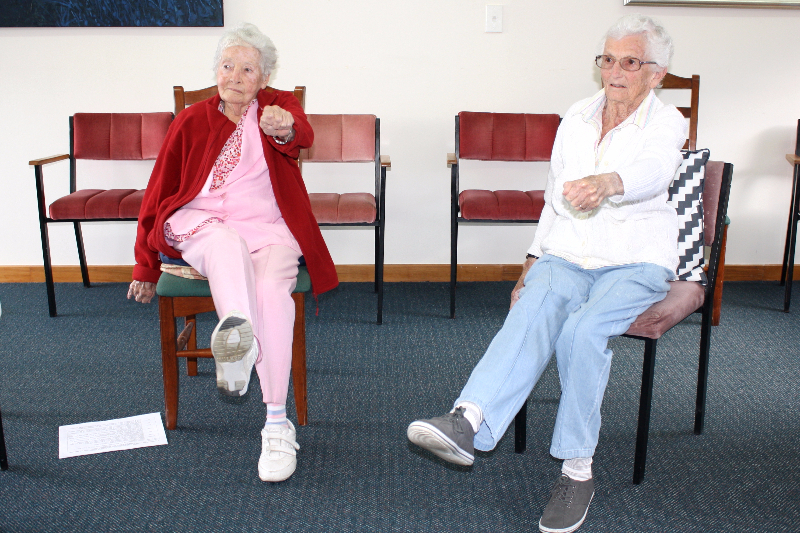 Every Monday from 10-11am Jill Freeman from 'Simply Wonderful' runs Seated Tai Chi in the H.Murray room at the Village. 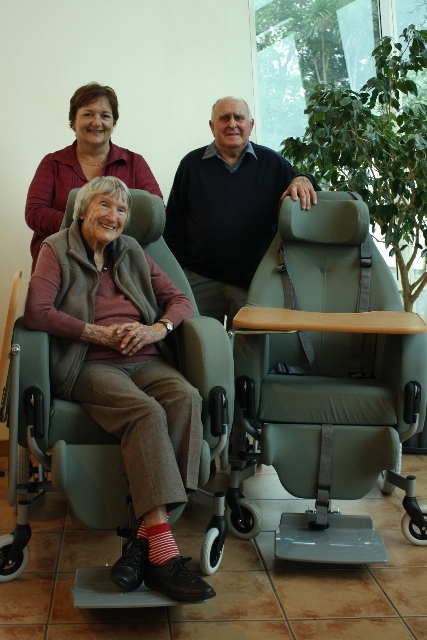 The class is designed to help those with arthritis and mobility issues retain their strength and range of movement and according to participants is "also very relaxing". 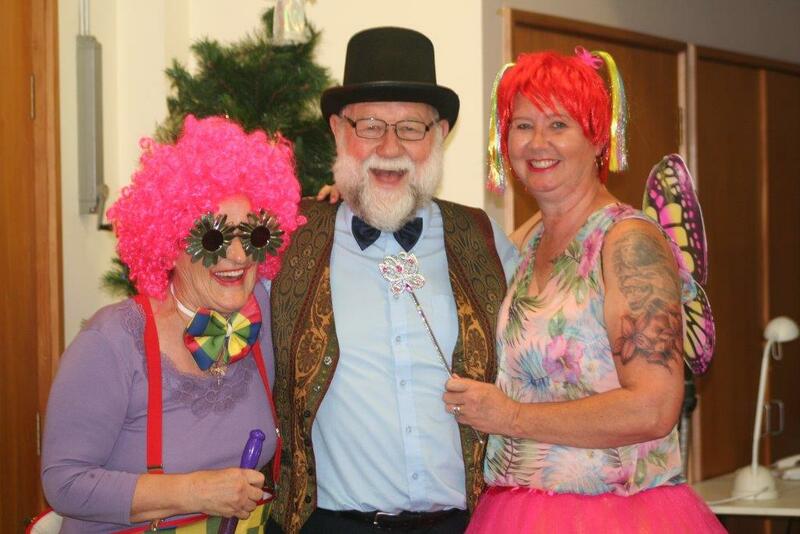 One of the highlights of our social calendar is the annual variety show where staff, residents and volunteers share their many talents. 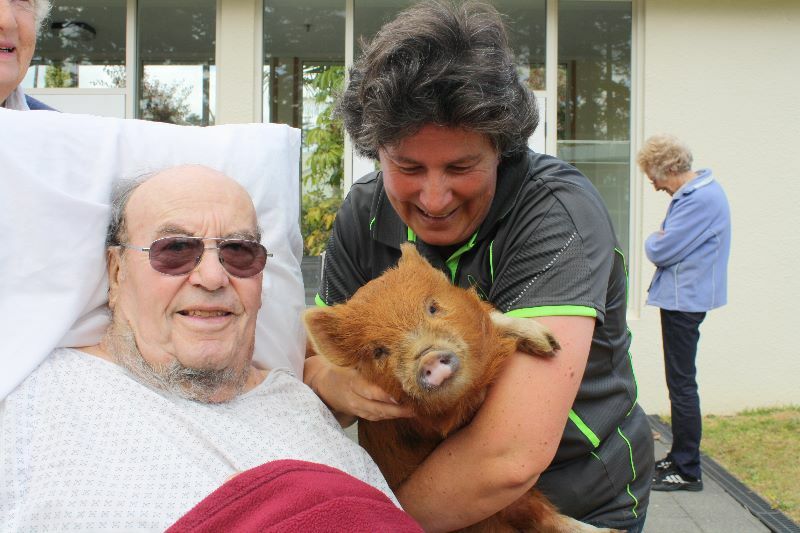 There was a huge turnout this year with friends and family joining the residents for the show. 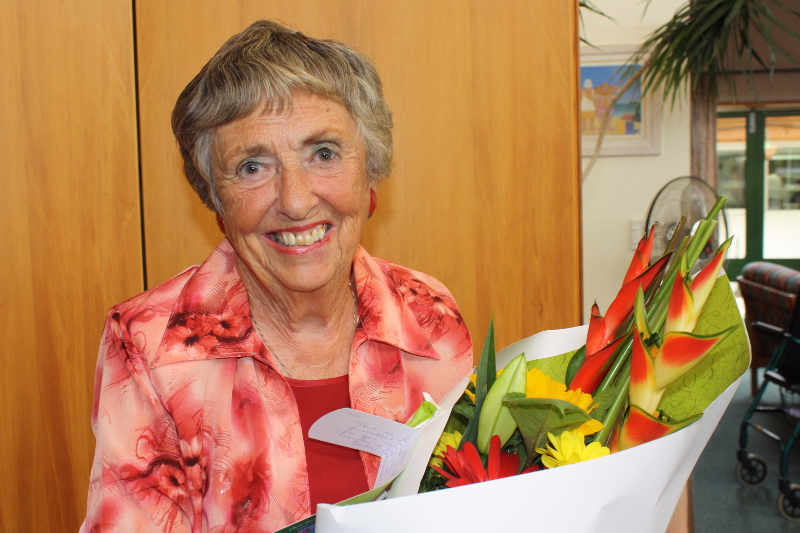 Residents, staff, board members and friends gathered at the Social Centre to celebrate 25 years of service by Jan Gough, who was "a bit embarrassed "by all the fuss." 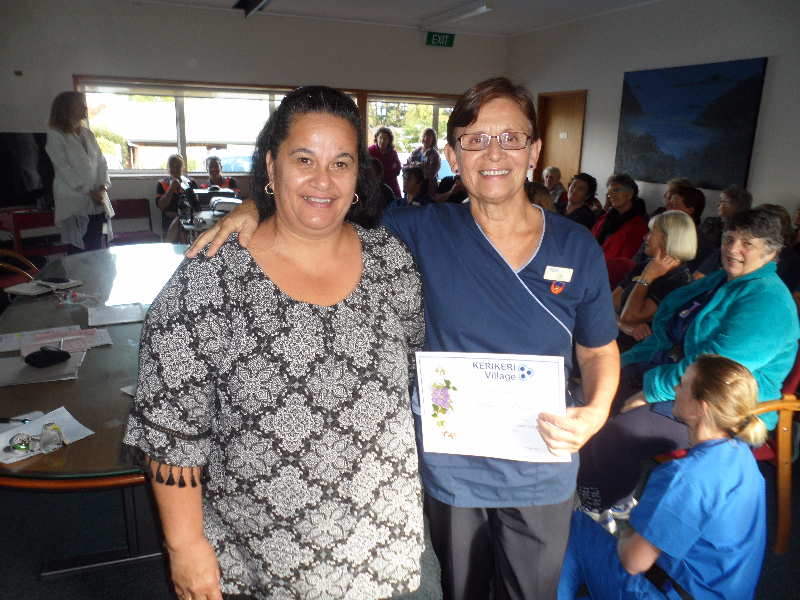 Jan started at Kerikeri Village on the 12th of November 1991 as a Caregiver. 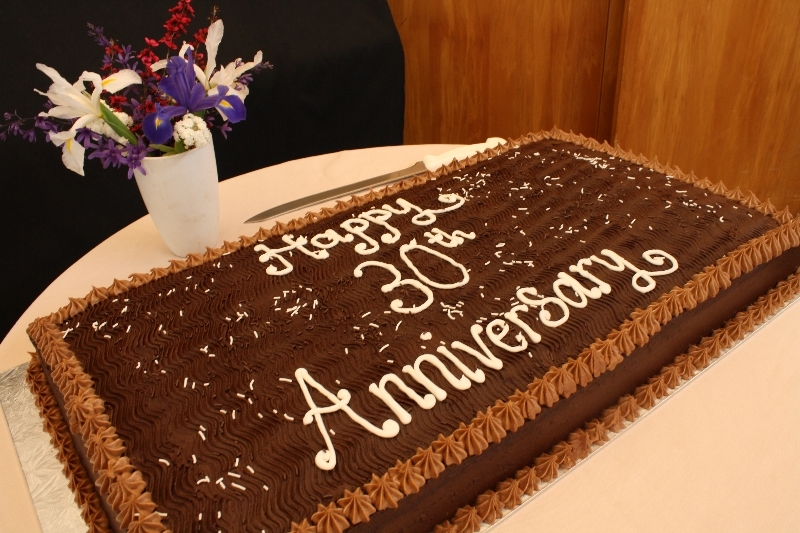 Founder's Day - Celebrating 30 years of Village life. We love a good party and what better excuse than the fact that we have been operating for 30 years? 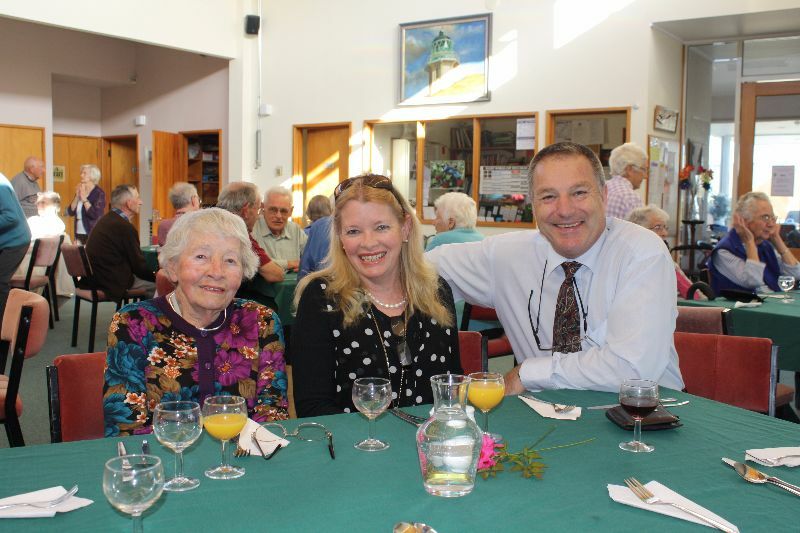 Amongst the guests at our Founder's Day Function were village residents, past and current board members, the Mayor and Deputy Mayor of Kerikeri and lots of volunteers and staff. 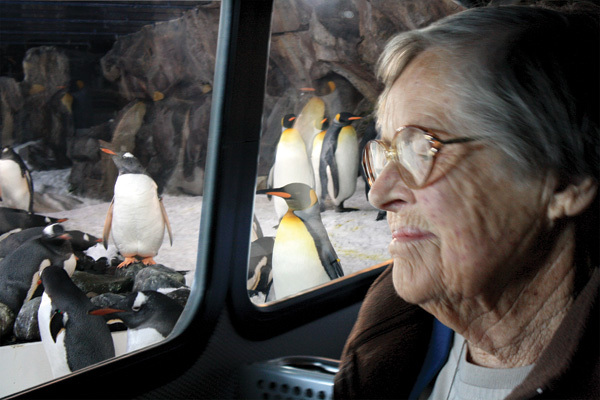 Happy Birthday to Patricia Scott who recently celebrated her 95th birthday. 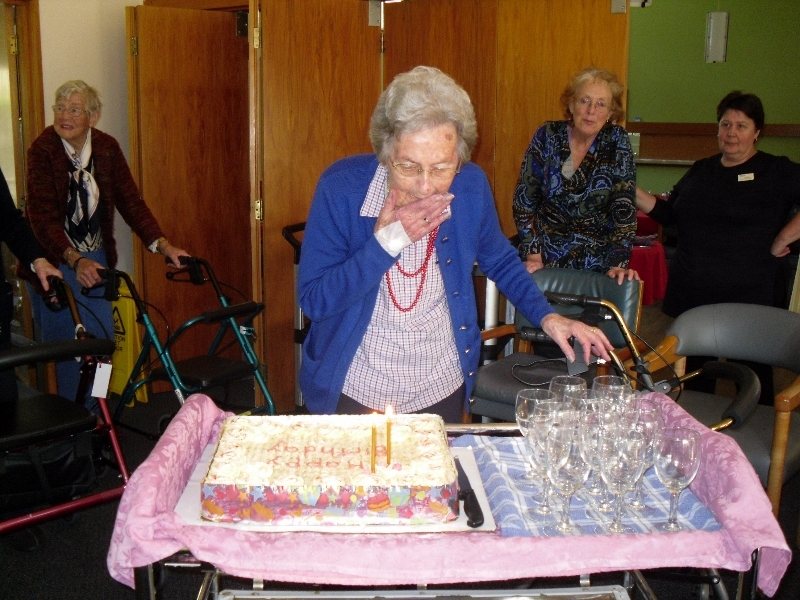 Her daughter Carol King provided a beautiful cake and some bubbles to wash it down. 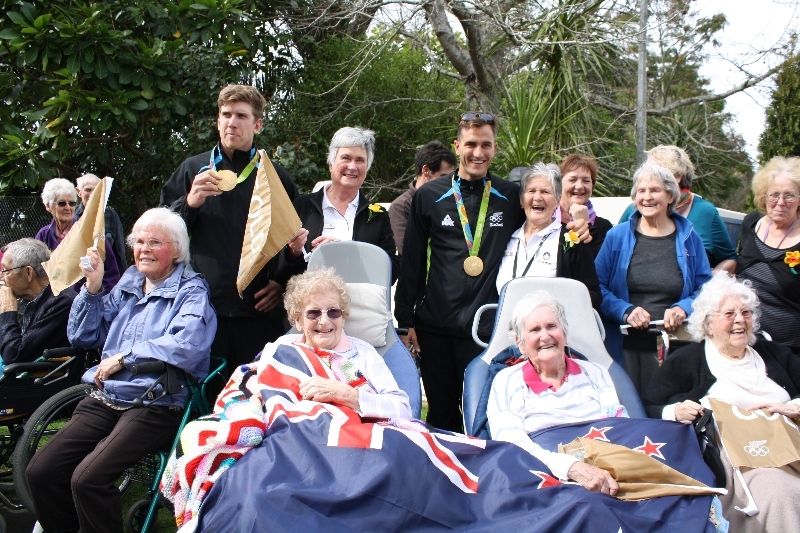 Today Kerikeri threw a parade for Olympic Gold Medallists Blair Tuke & Peter Burling. The parade started just across the road at Woodlands and event organisers Lynda Hurley and Dave Keen kindly organised a visit to our residents who were thrilled to meet the team in person and get a close look at the medals. 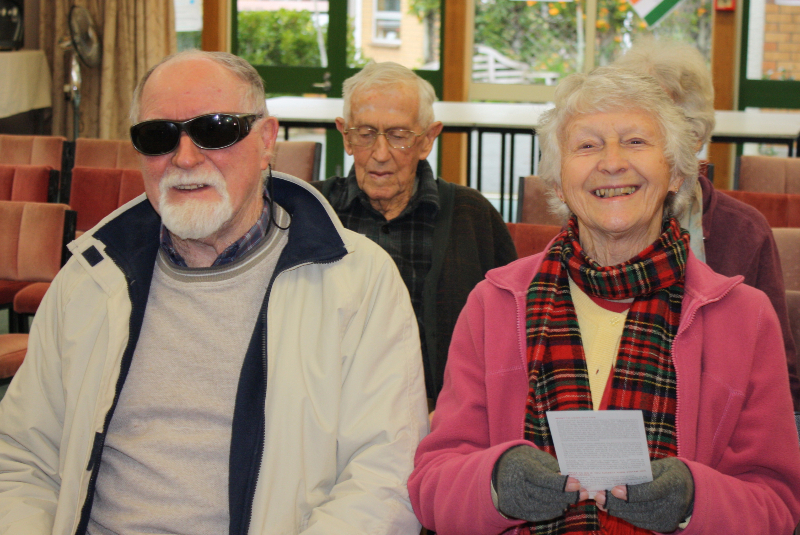 To keep life interesting we have theme weeks for our residents and we build displays, events and activities around the theme. 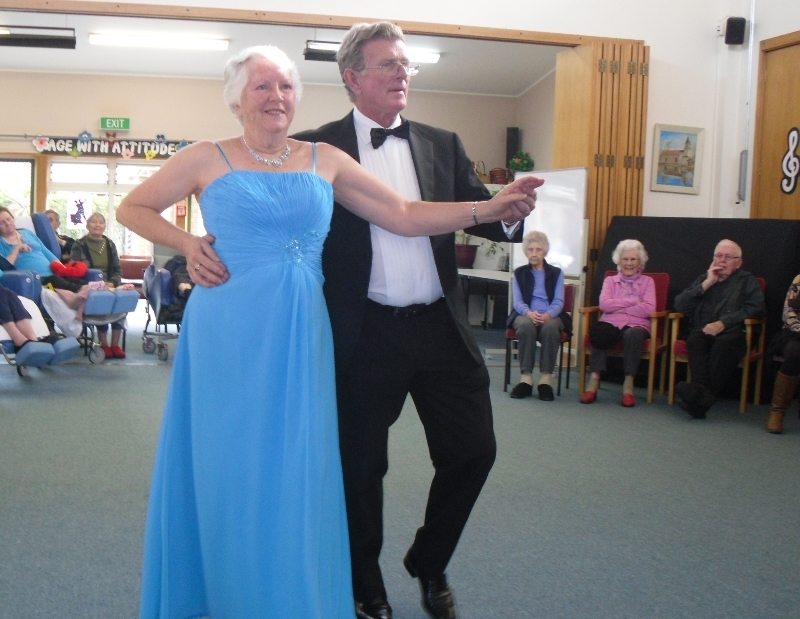 One of our more popular themes was Ballroom Week which included a ballroom dancing display by Les and Judy Remnant. 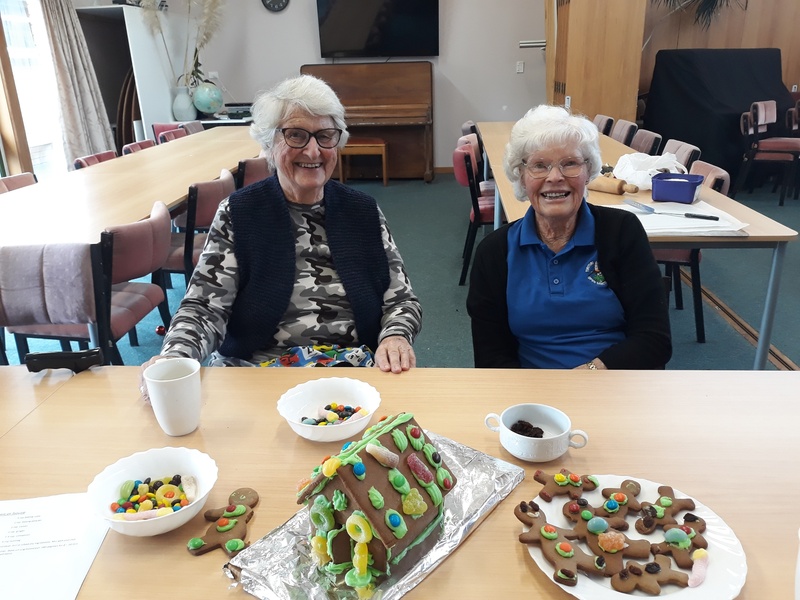 Our Care Facility residents recently enjoyed a visit from the Kerikeri Pippins who spoiled them with some very tasty baking. 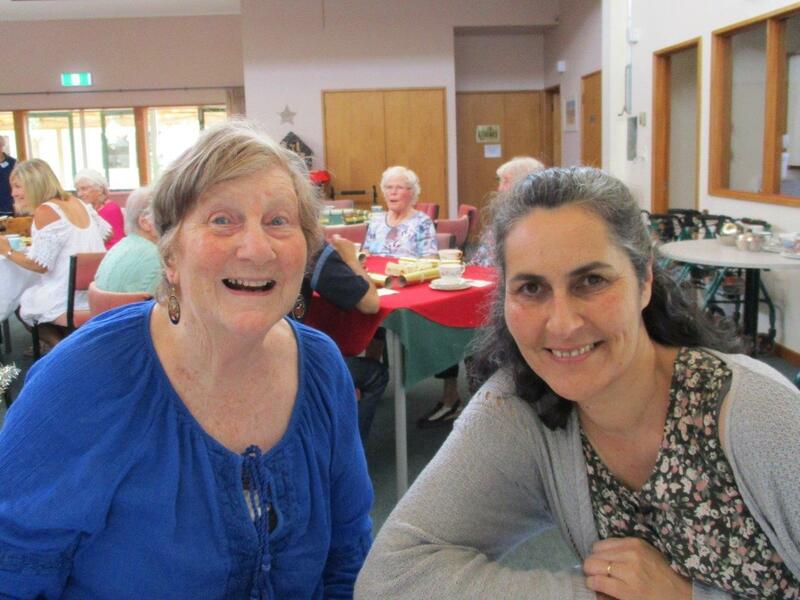 We were very pleased to welcome Hilary Sumpter as our new Chief Executive at a morning tea attended by village residents, staff and the board. 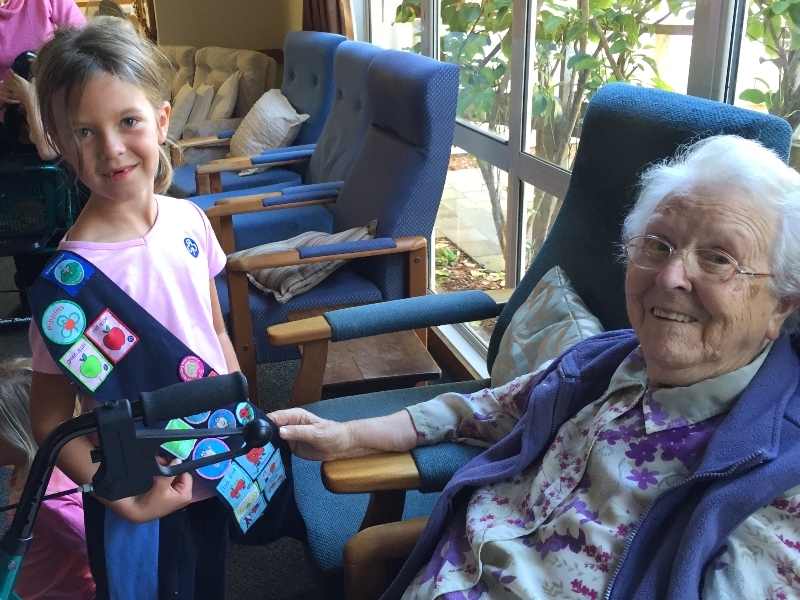 Doris Robertson reached another milestone when she turned 101 on the 12th of June. 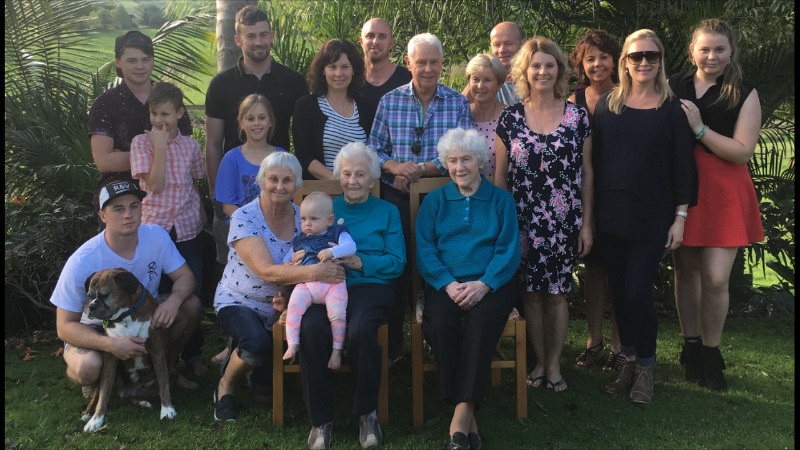 Doris (front row, second from the right) celebrated with her family at her granddaughter's home in Kerikeri. 3 cheers for our new chairs! 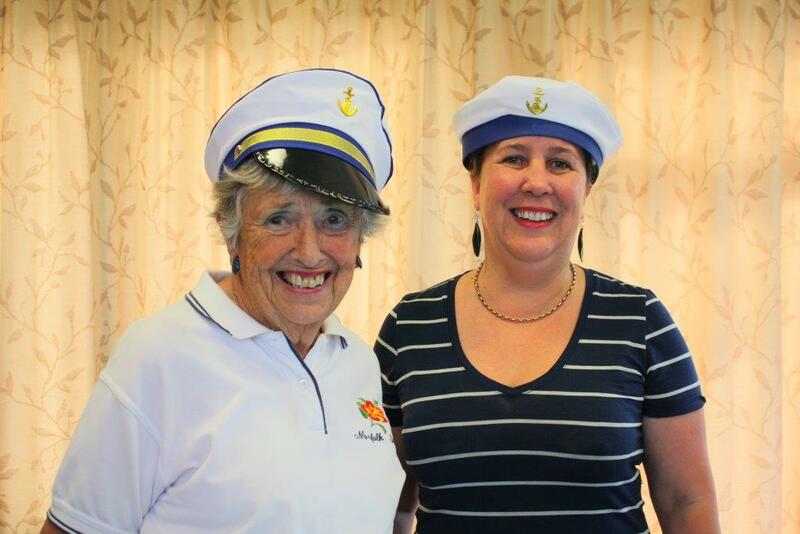 For over 20 years the Bay of Islands Day and Social Club has run monthly Community Dinners which are open to both residents and seniors from the wider community. 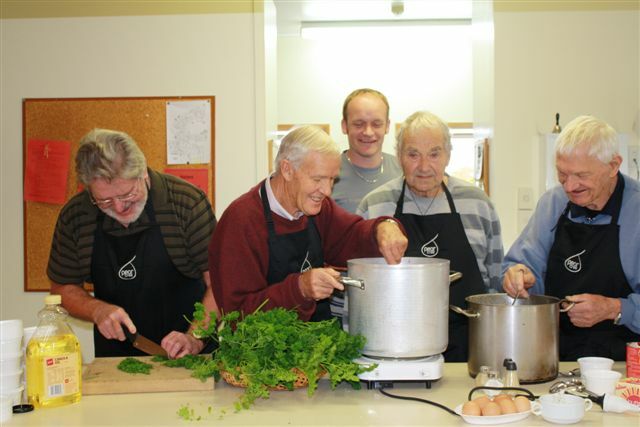 The Bay of Islands Day and Social Club consisted of around 20 core volunteers who did everything from the meal prep, to cooking and serving dinner, running raffles and doing the dishes (apparently this was the domain of the men). We have completed three new townhouses at 20 Wendywood Lane. 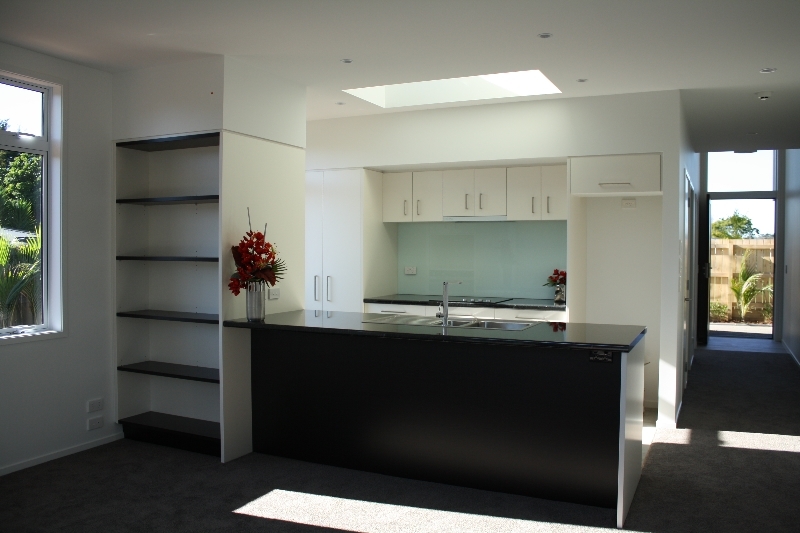 These modern, two bedroom units have internal access garaging. Built to make the most of the sun, they each have beautifully planted patios that are perfect for entertaining. 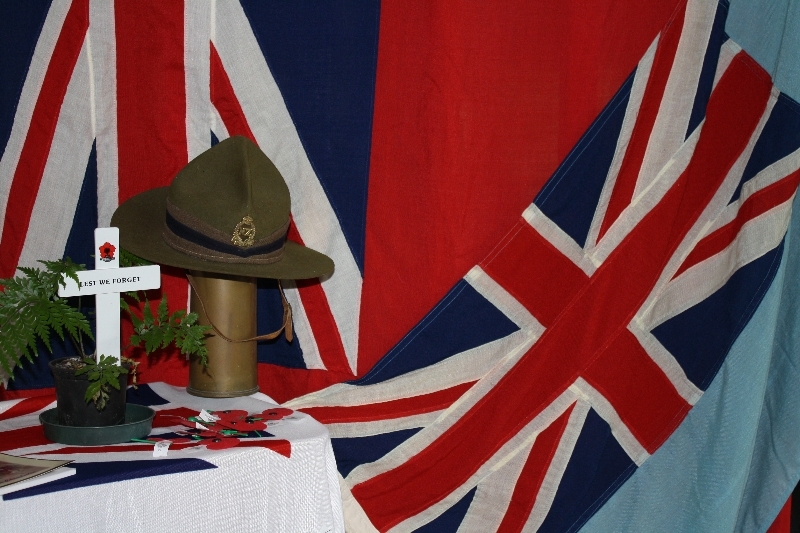 Anzac Day is a time of special celebrations as our residents recall life during war time and remember those who lost their lives. 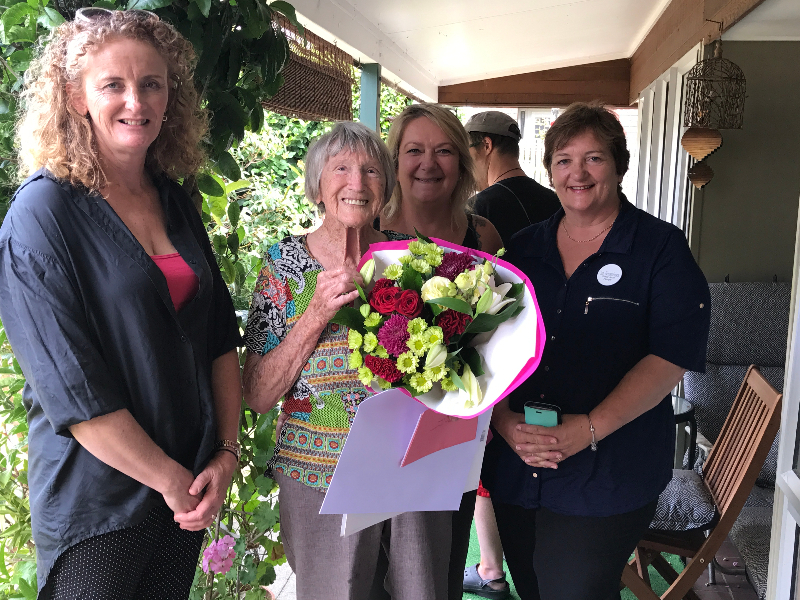 This year Countdown Kerikeri wanted to acknowledge the sacrifices that all our seniors made during those times and decided to treat our residents to a fabulous morning tea. 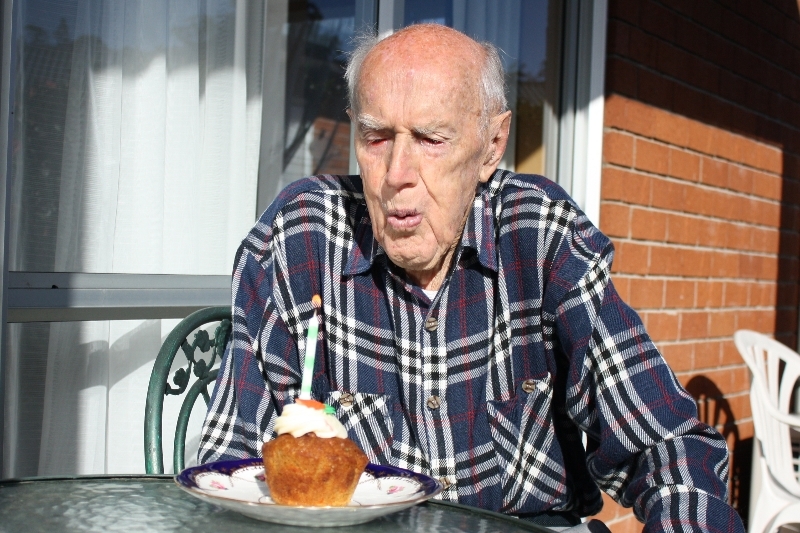 Cottage resident Selwyn Thompson celebrated his 101st Birthday on Friday May 13th. Selwyn, who is remarkably fit and active, had a family gathering at a local vineyard to mark the occasion. 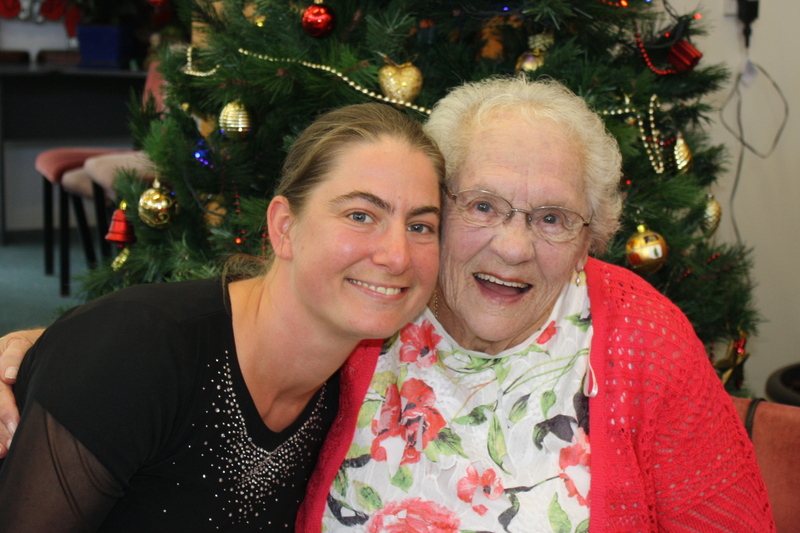 The staff and residents gathered together to show their appreciation of 25 years service and to give Betty a heartfelt send off. 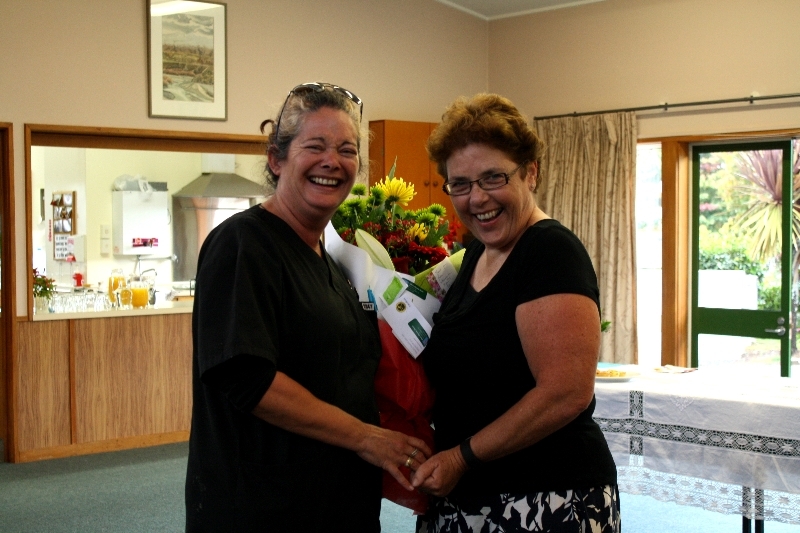 General Manager Betty Petrie leaves us after 25 years of service to the Village. 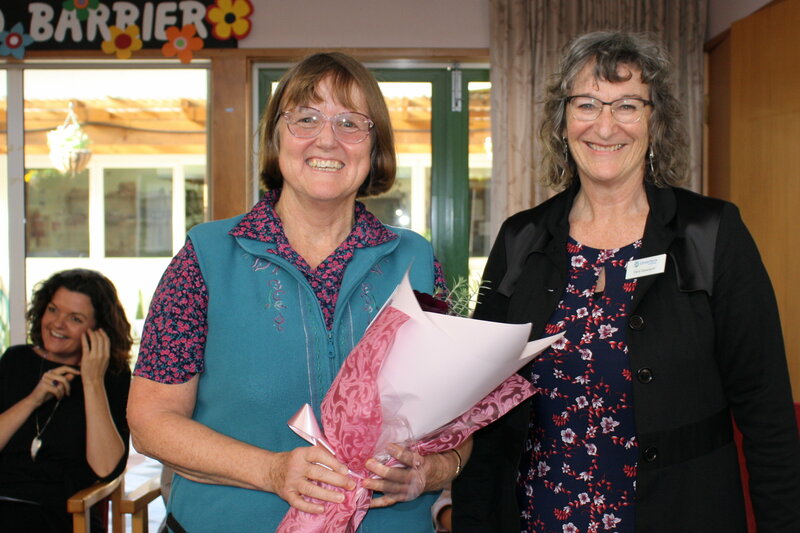 Many of the local Health Practitioners, together with suppliers and the Board of the Kerikeri Village Trust, gathered at a high tea to celebrate Betty's achievements over her time at the village and to wish her well for the future. 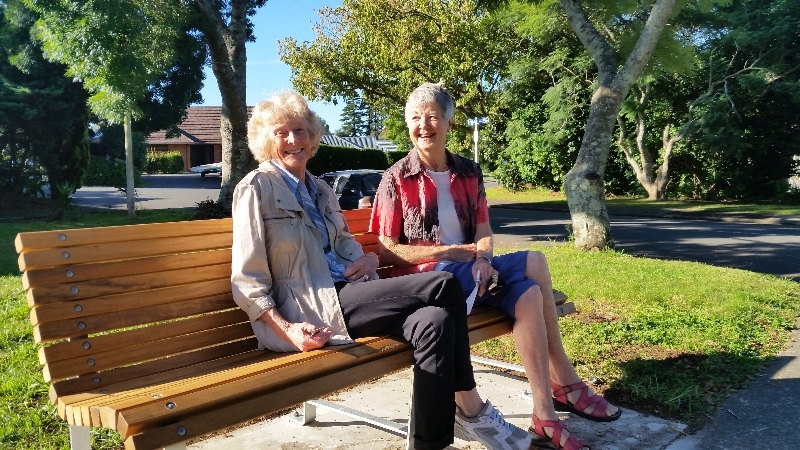 Sandy Chamtaloup and Margaret Kingston enjoy a chat and a wee rest on the park bench recently installed by the council. 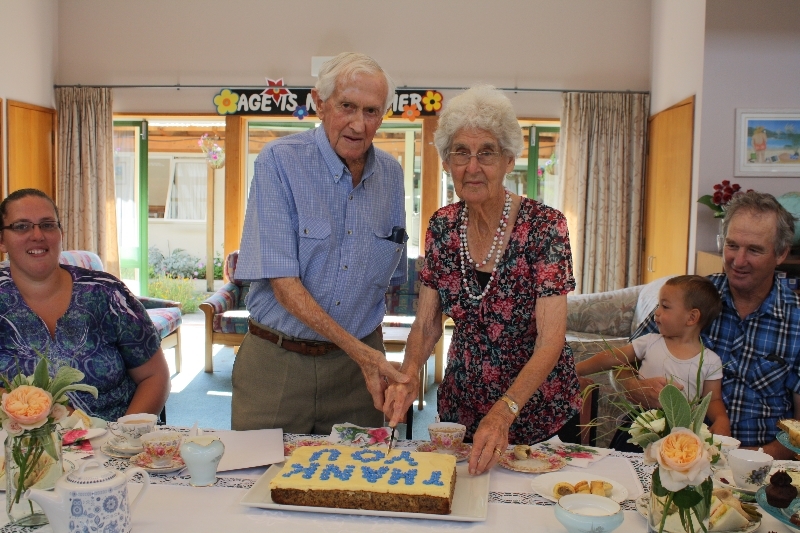 For as long as the Kerikeri Retirement Village has existed Val & Henry have been donating their time on a regular basis pouring cups of tea, helping at the community dinner, assisting with the day programme and helping out wherever they are needed. 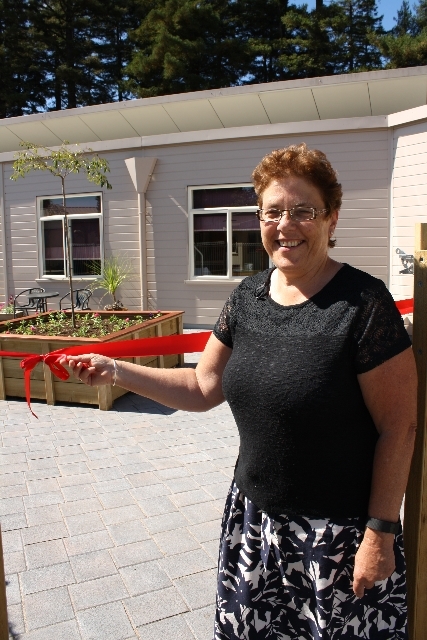 Thanks to the Lion's Kerikeri and some hard work from our gardening and maintenance crews, we now have a lovely new courtyard area for residents of the Robinson wing and annexe to enjoy. We simply couldn't do all the extras we do without our fabulous volunteers. 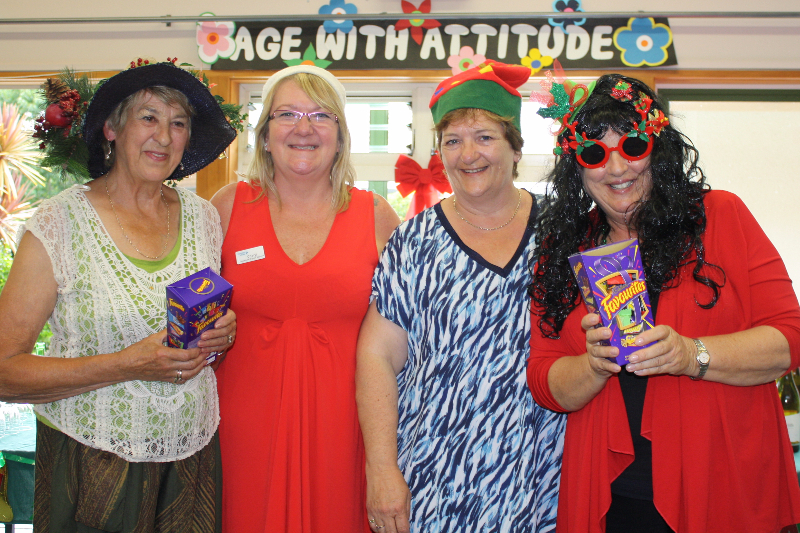 We got together to celebrate Christmas and to acknowledge all their hard work and generosity. As well as a great way of keeping fingers and minds nimble. 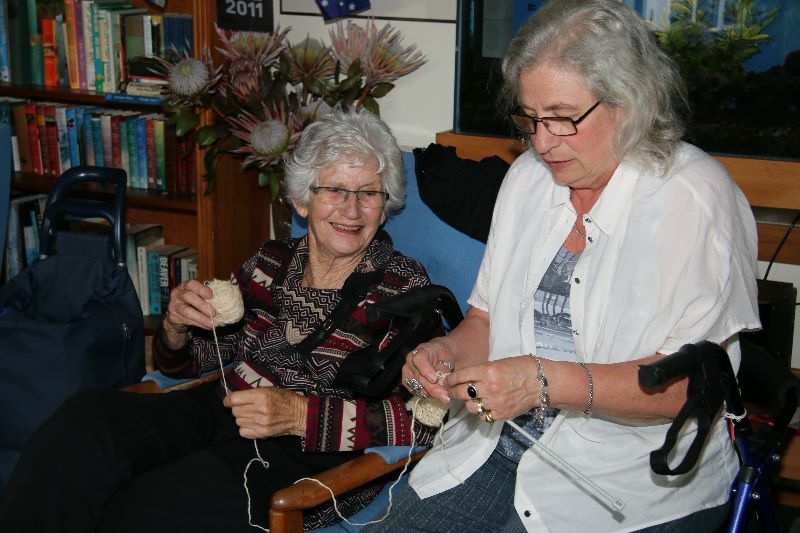 Knitting Group is a great chance to socialise. 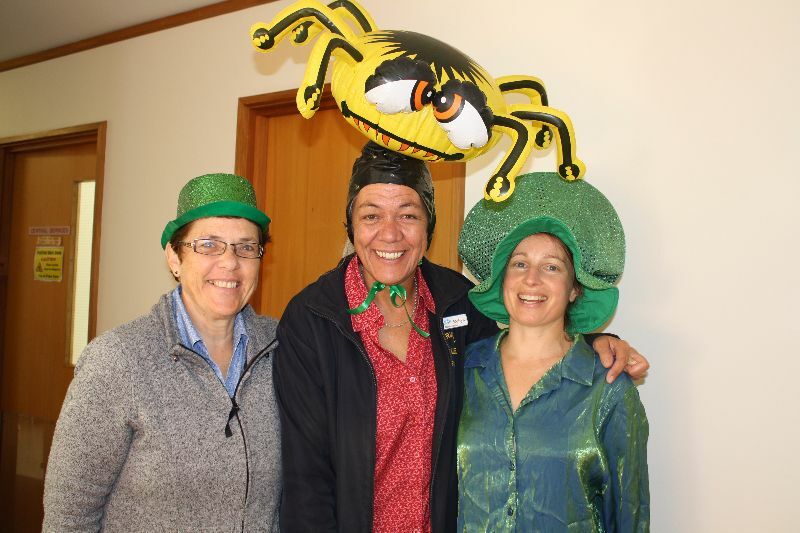 Thanks volunteer Avis Mountain who popped in with her camera to capture all the fun. 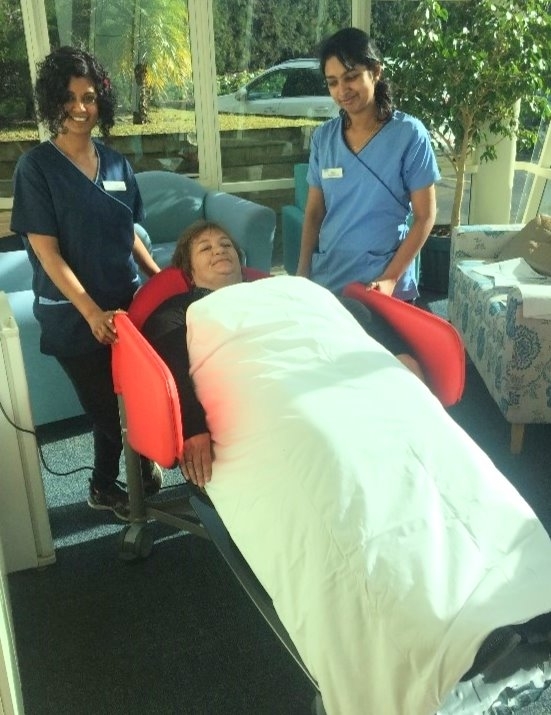 Every Friday morning one of the team from Pure Day Spa pop in and give residents in the Care Facility a free hand massage. 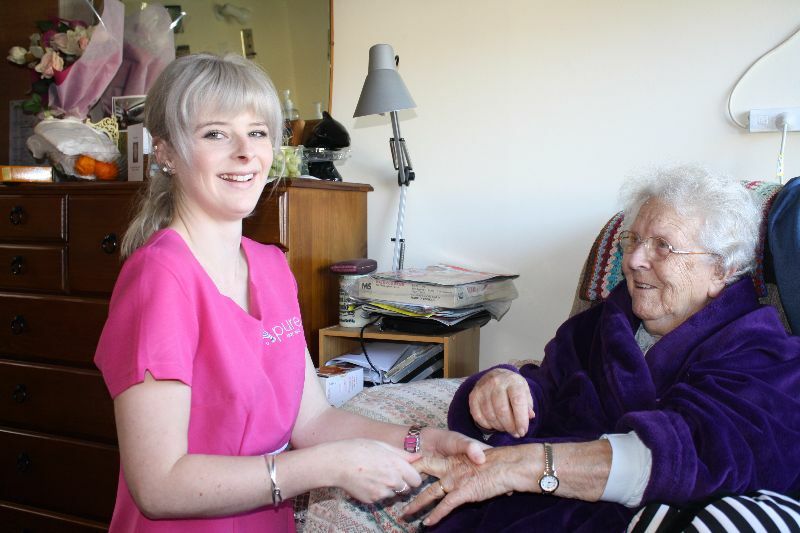 Residents love the chance to chat just as much as they enjoy being pampered. 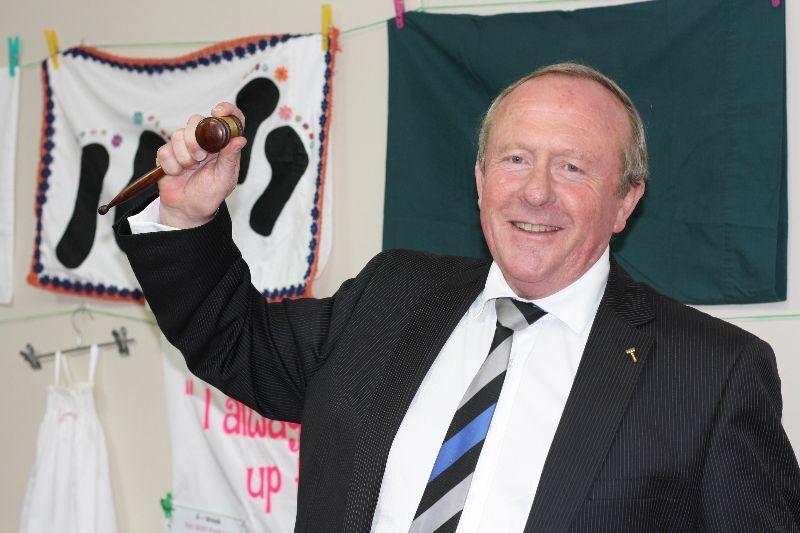 We invited the public to buy a pillowcase and decorate it and then we auctioned off the results to raise funds for new alternating mattresses for the Care Facility. The alternating mattresses have small pockets of air which inflate and deflate intermittently to alter the person's body position which prevents bedsores. 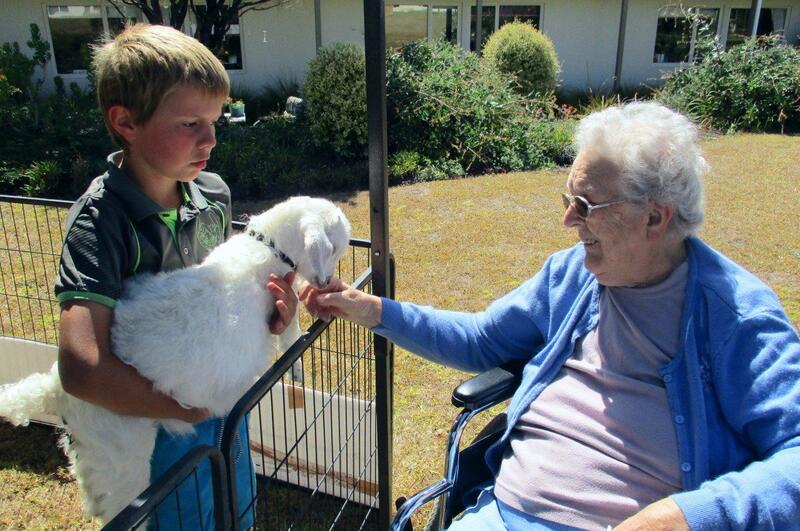 Many of our Care Facility residents grew up on a farm or lived rurally so periodically we bring a touch of the country to the village. 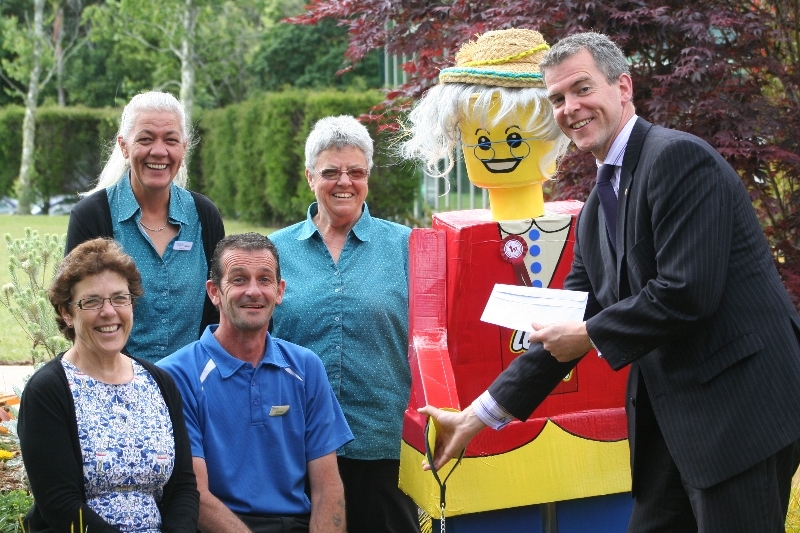 Our 2014 entry into the Kerikeri New World Rotary Garden Safari Scarecrow competition. Lego Gran complete with a Lego flower pot, spade and dog took out the top prize.